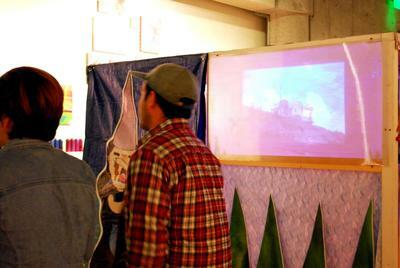 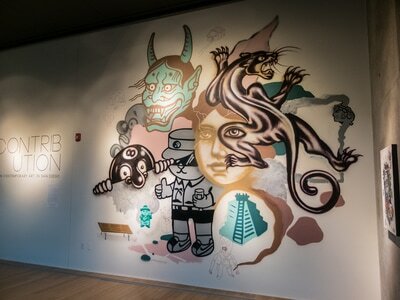 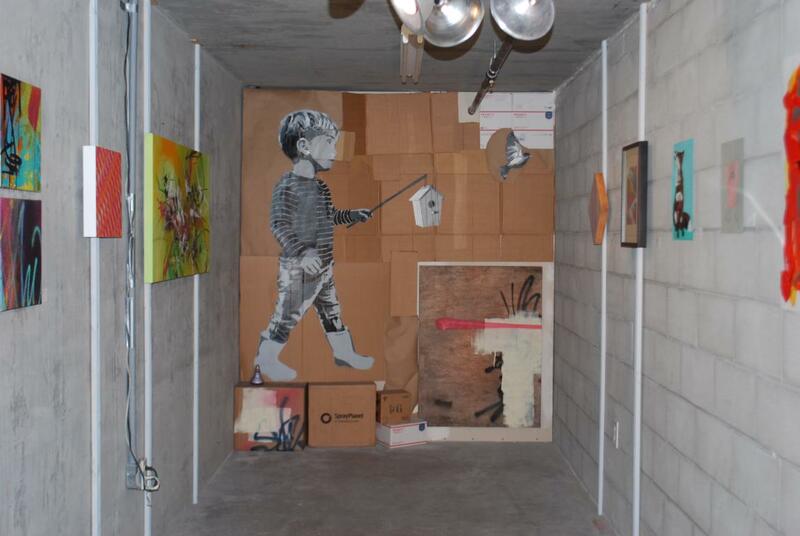 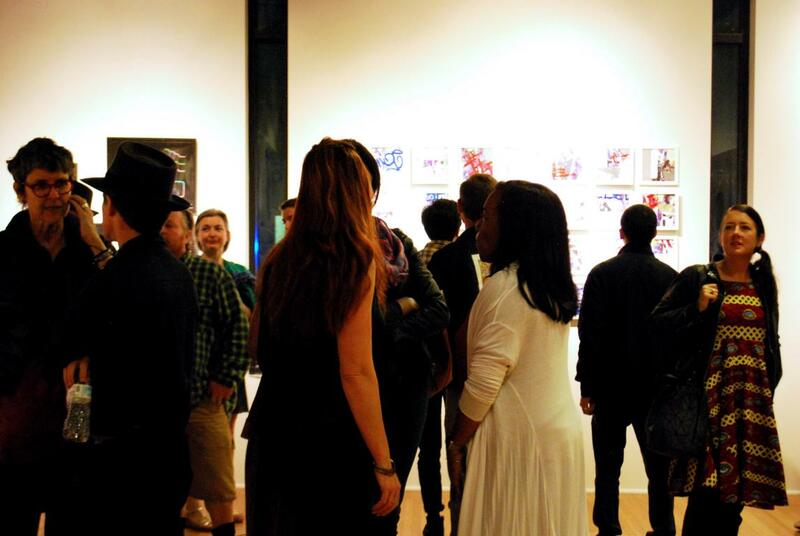 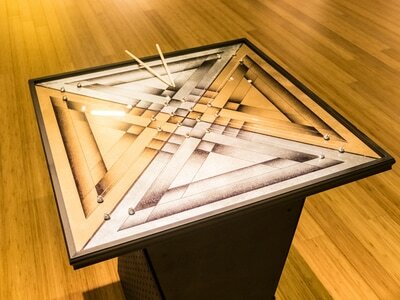 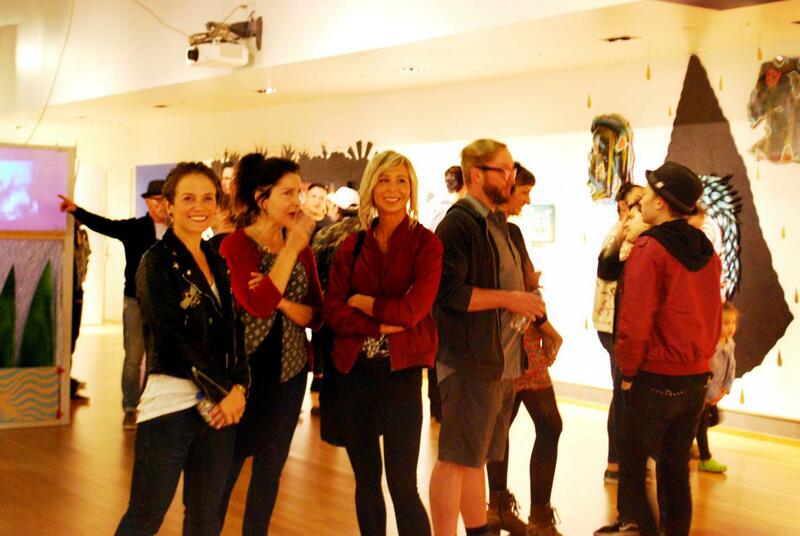 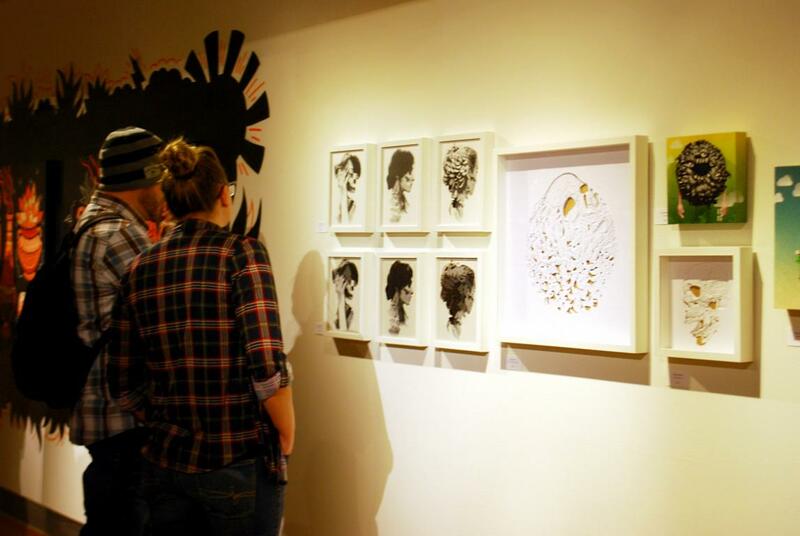 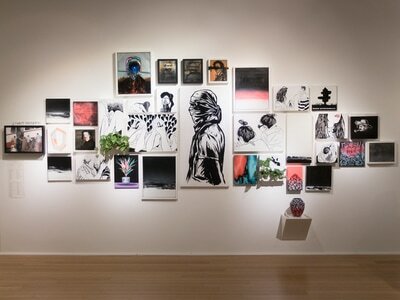 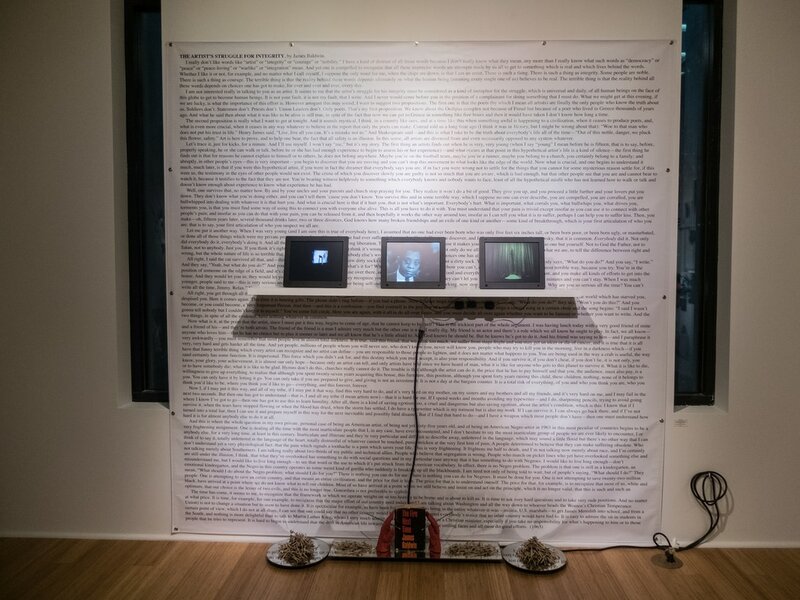 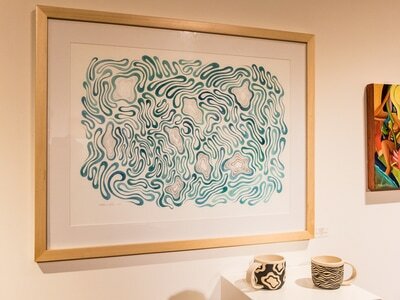 We curated and organized "INTERSECTION - a mash-up of contemporary art" at Hyde Art Gallery. 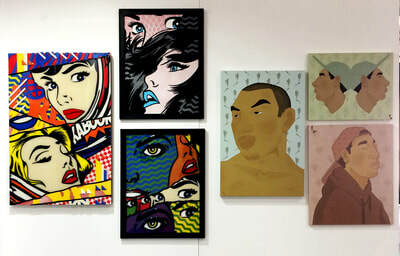 The exhibition opened on March 21st and will be on display until Aril 25th. 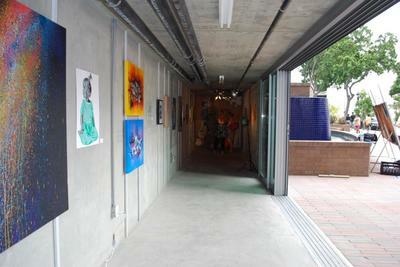 Opening hours are Monday-Thursday 10am-6pm. The participating artists are Adrian Anthony, Barfo, Benny Ochoa, Don't Trip, Duel RIS, Ethos One, EYEGATO, Hyper Helix, Jason Gould, kurznachzehn, Luisa Martinez, Mary Jhun, Mr B Baby, MR DVICE, Nat Iosbaker, Nick Mcpherson, Paul Vargas, Remio, and Sergio Hernandez. 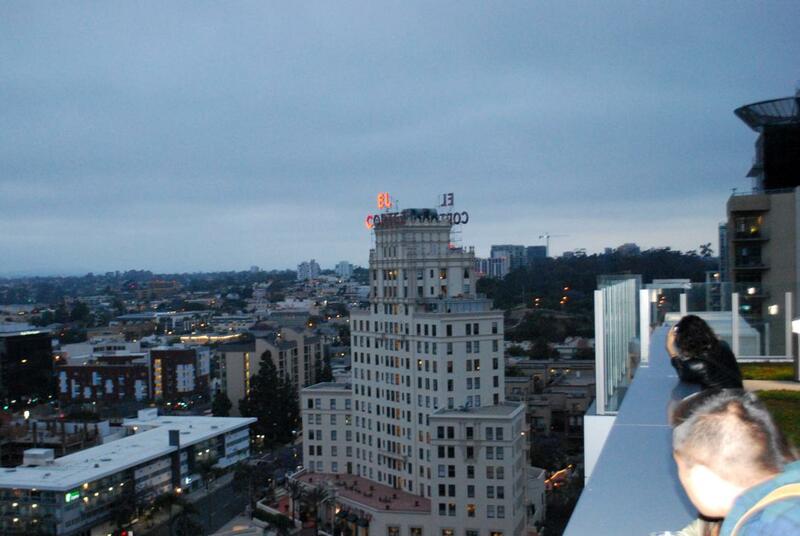 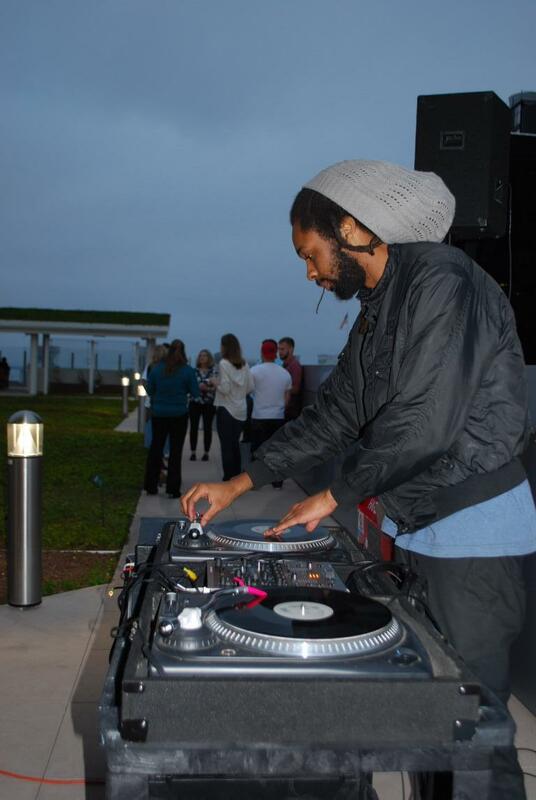 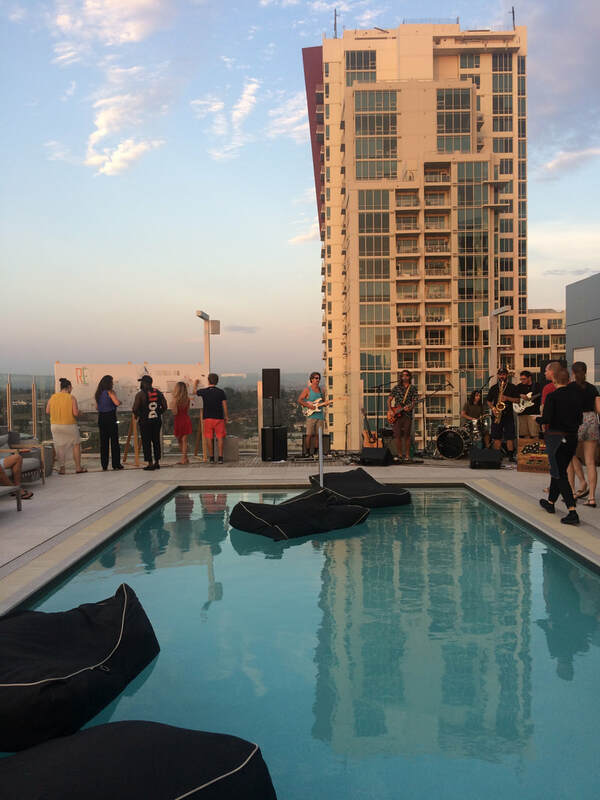 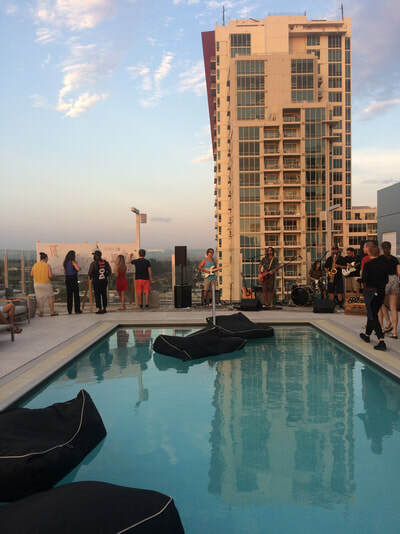 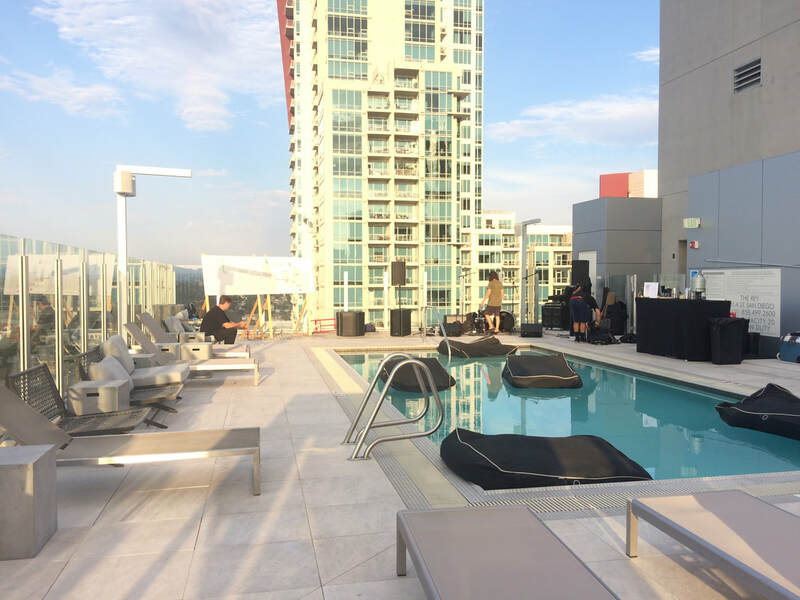 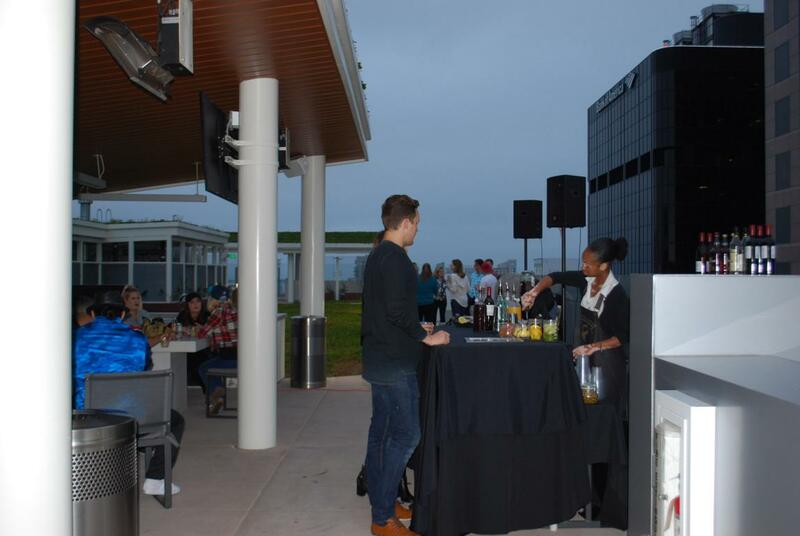 The luxury apartment complex The REY hostet a rooftop party. 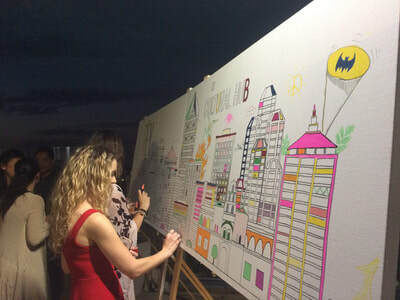 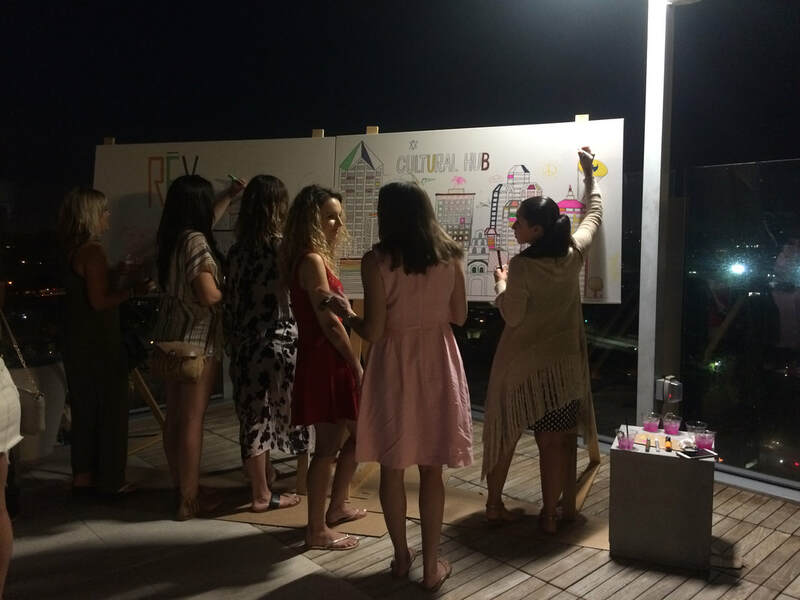 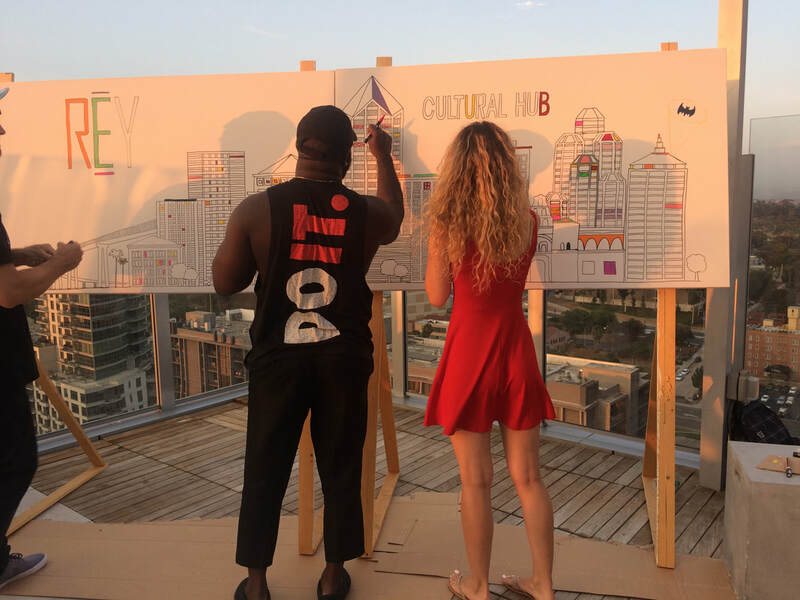 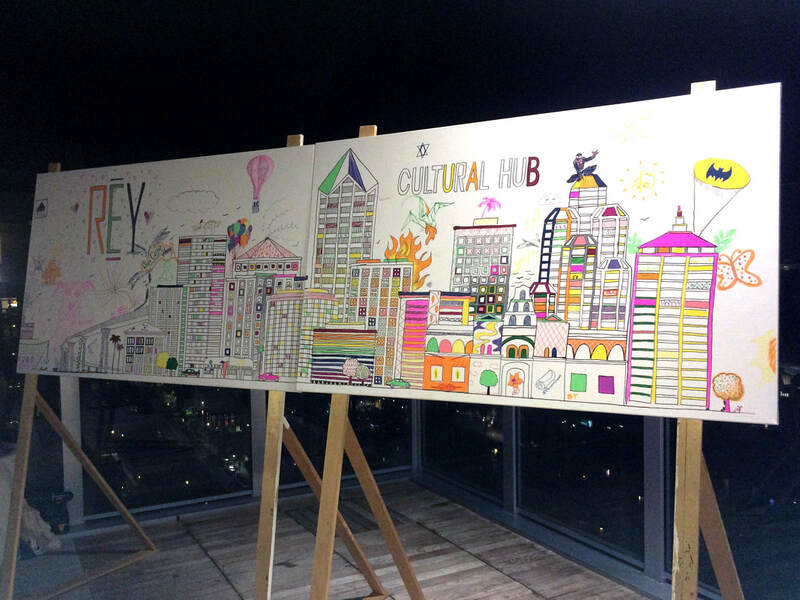 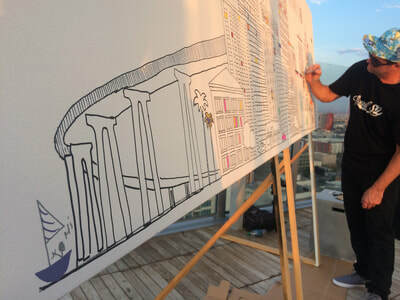 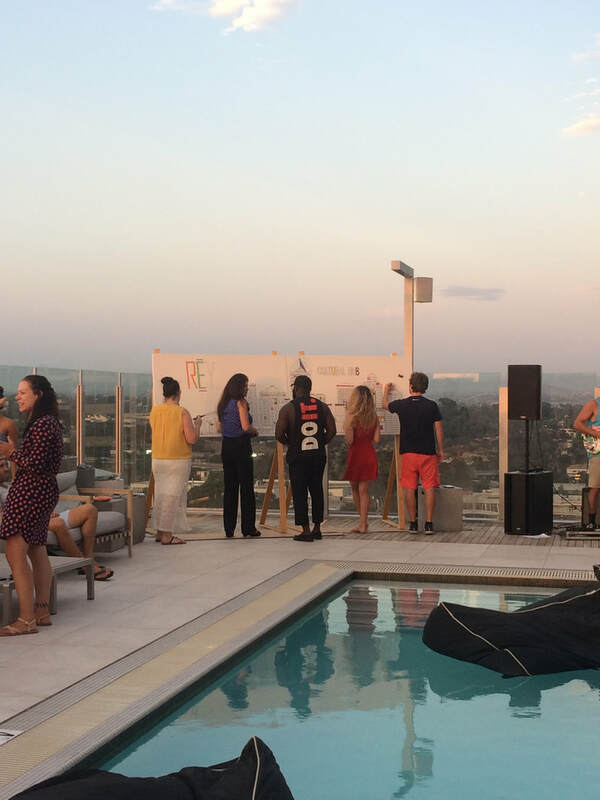 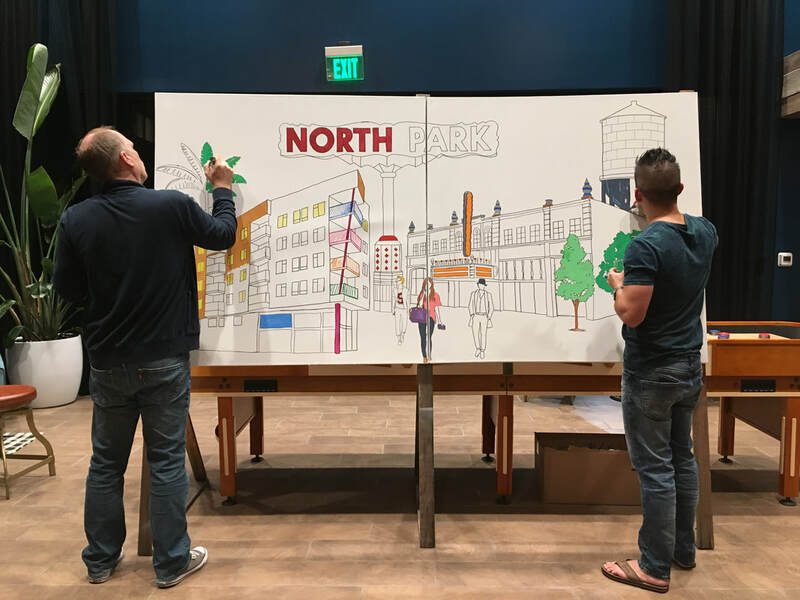 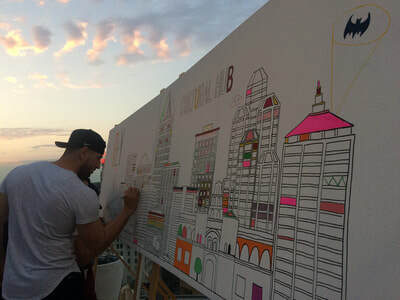 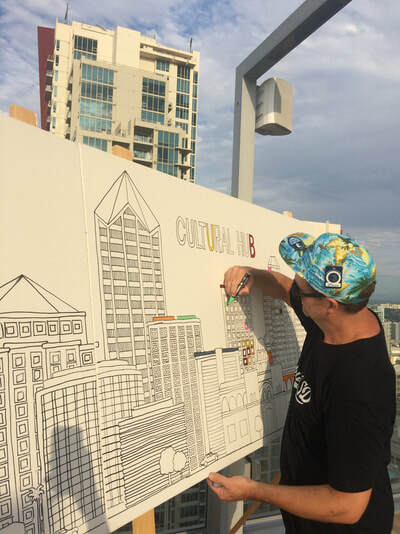 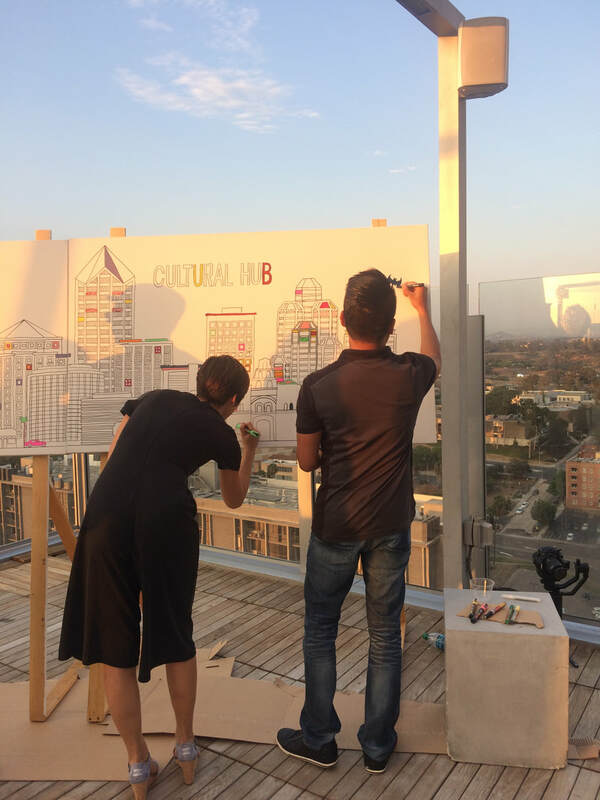 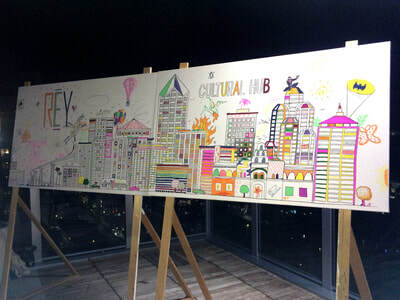 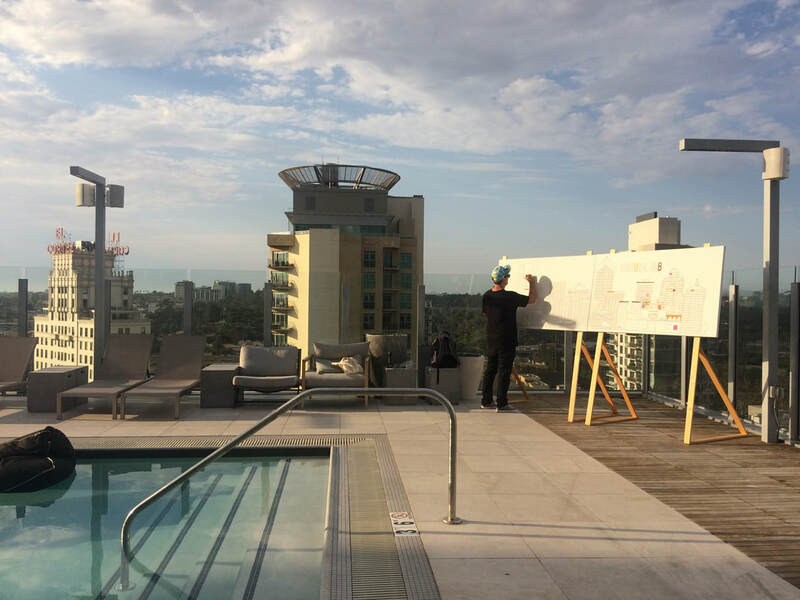 For this event we designed and painted an interactive skyline. 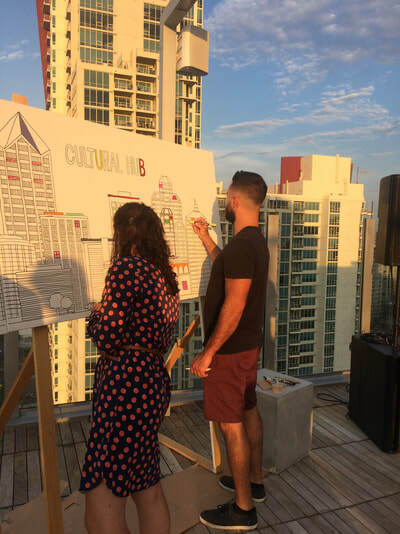 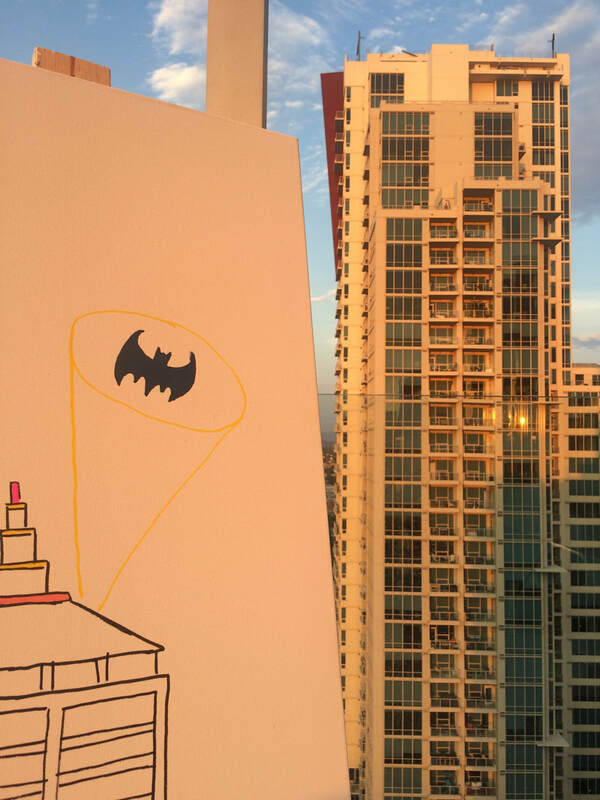 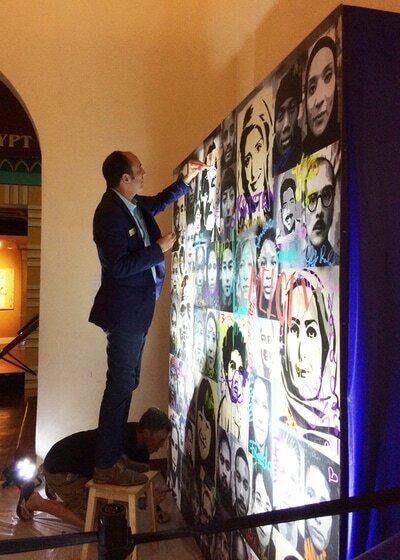 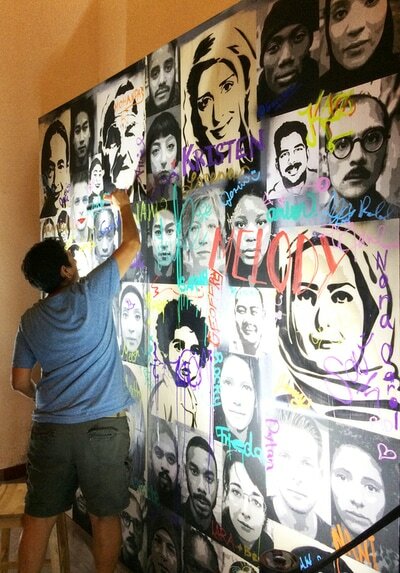 the guests got creative with coloring in and adding their ideas to the canvas. 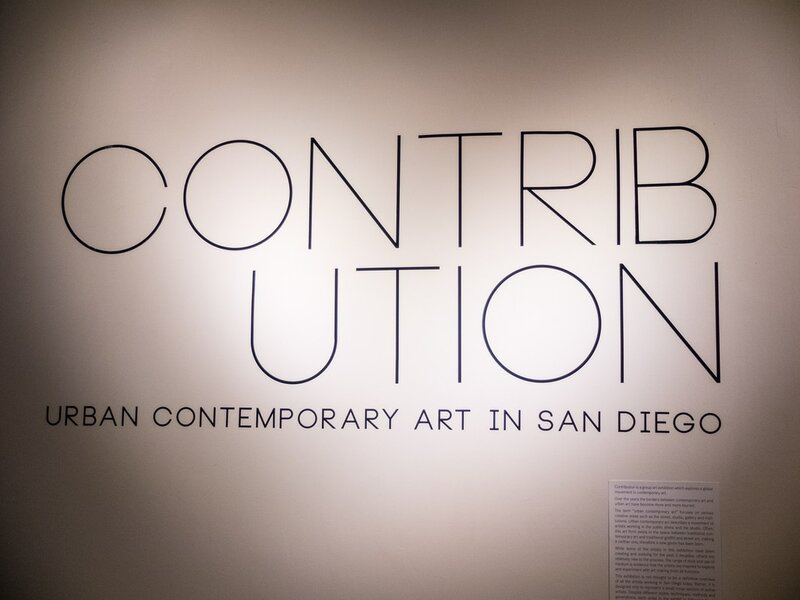 Contribution II is a continuation of the original exhibition, “Contribution”, presented in November 2016. The exhibition continues to examine artists who focus on an approach encompassing several artistic areas such as the street, the studio, in the gallery and institutions. 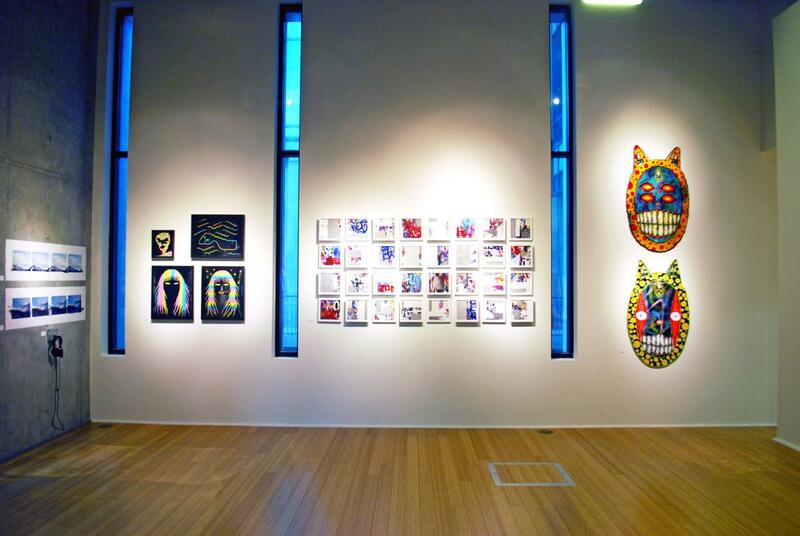 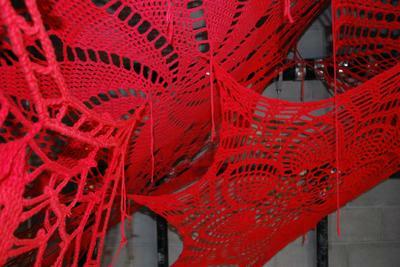 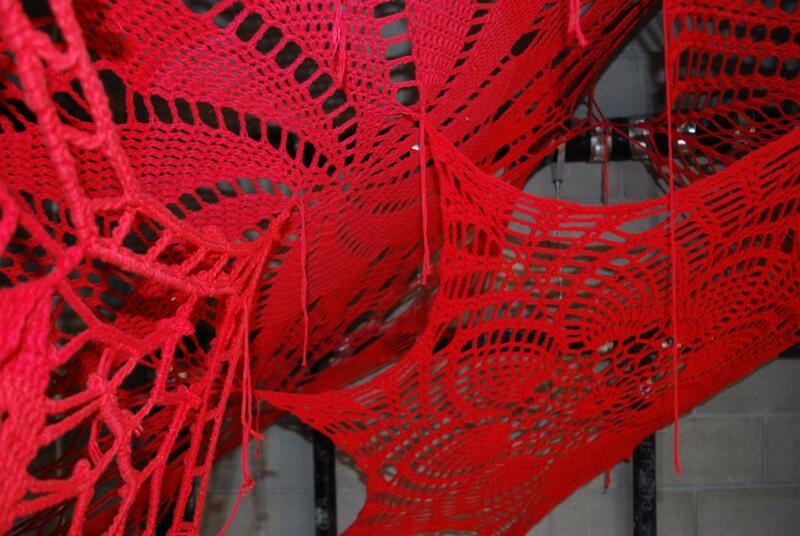 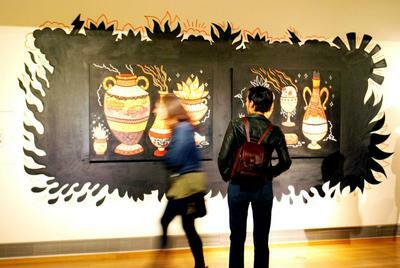 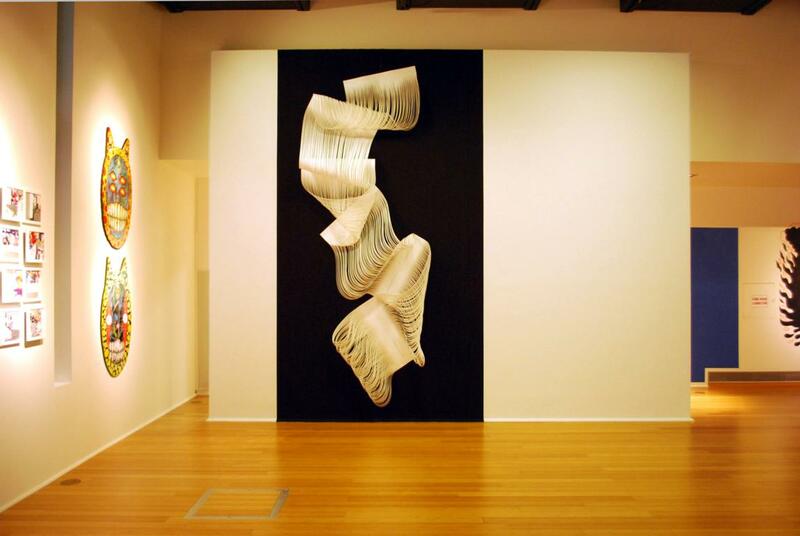 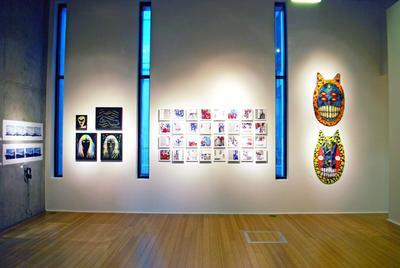 The artists in this exhibition represent disciplines that are ever changing and morphing into new genre’s and trends. 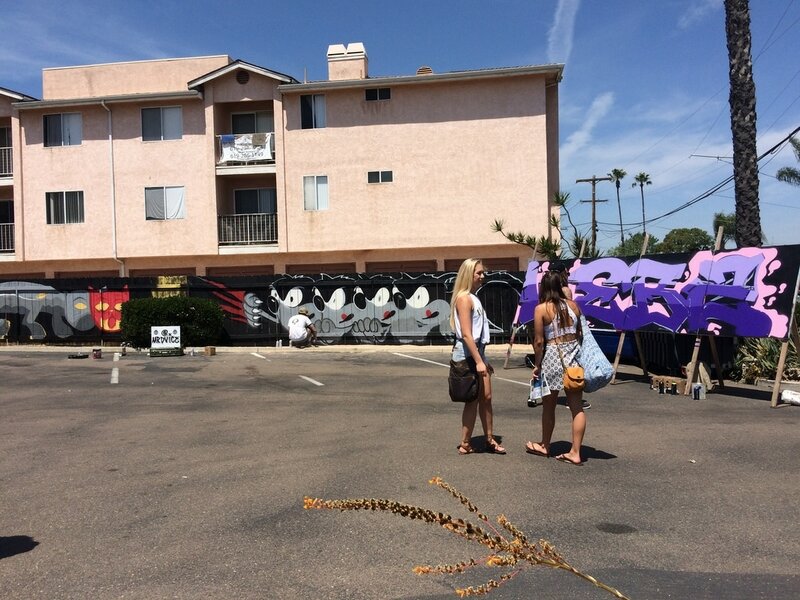 KAABOO features a variety of contemporary public art installations, some in place when you arrive and others created live on-site during the event. 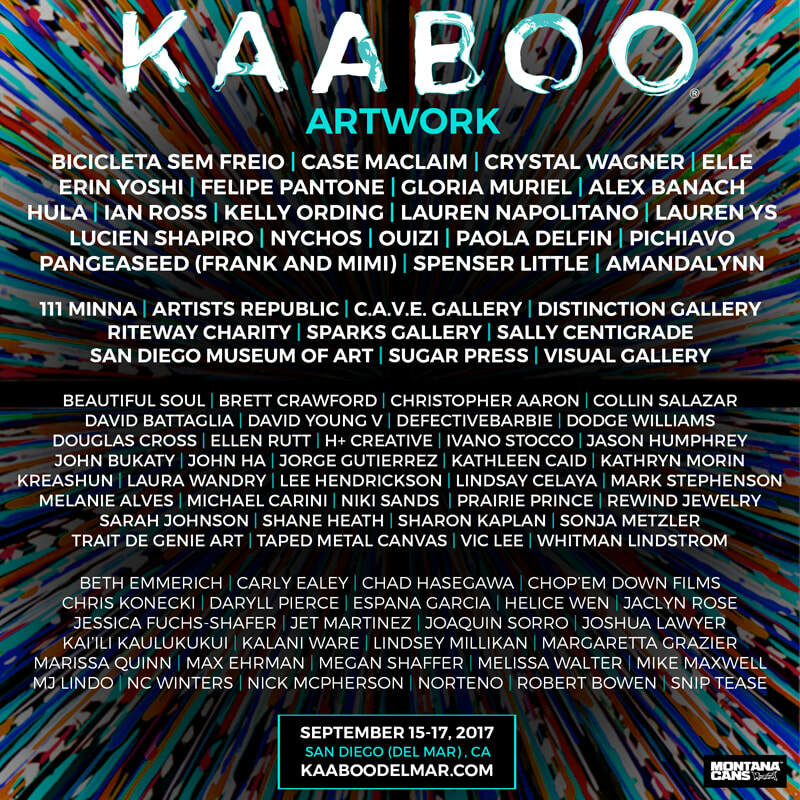 KAABOO’s public art transforms the venue into an evolving journey of surprise, delight and discovery. 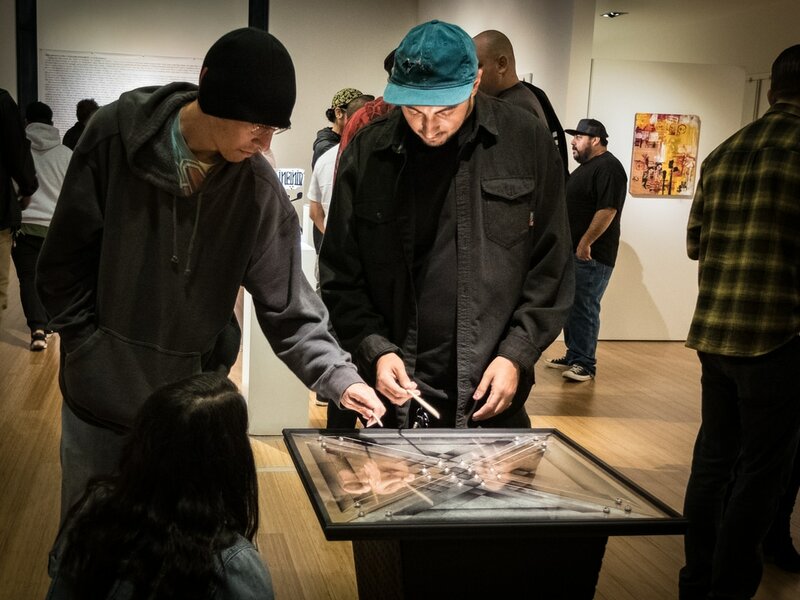 This is your chance to watch art in the making, and to pair your experience with inspiring visual artistry. 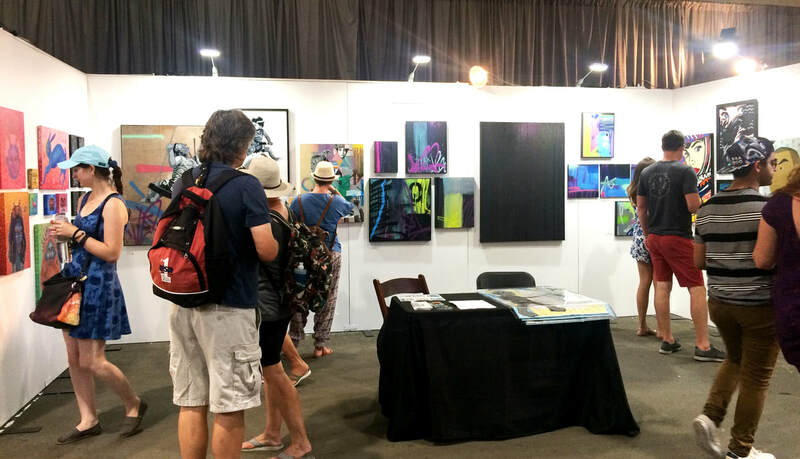 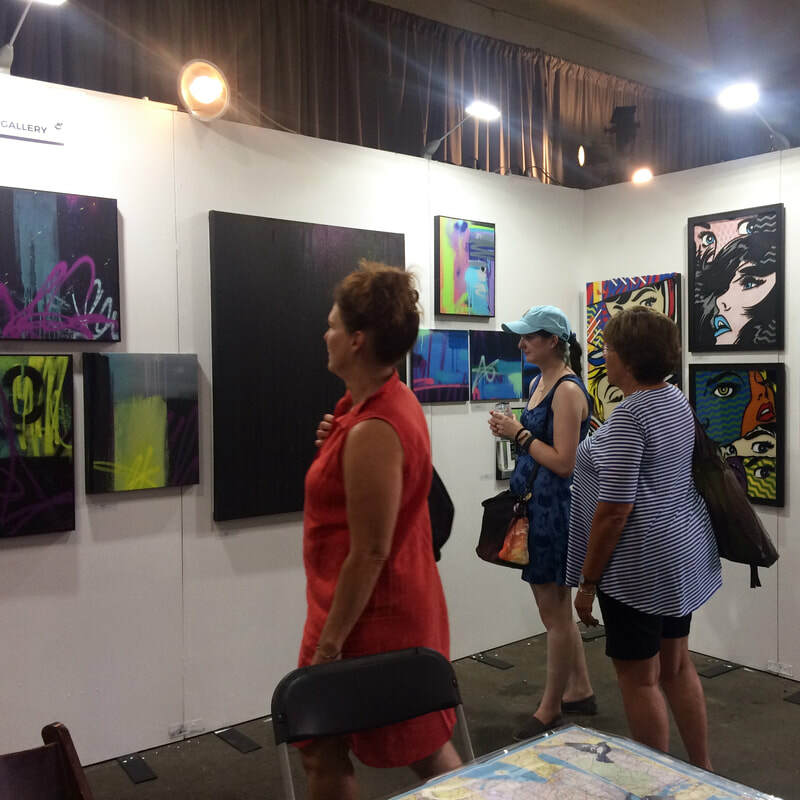 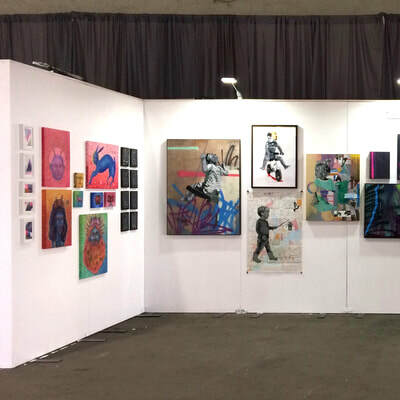 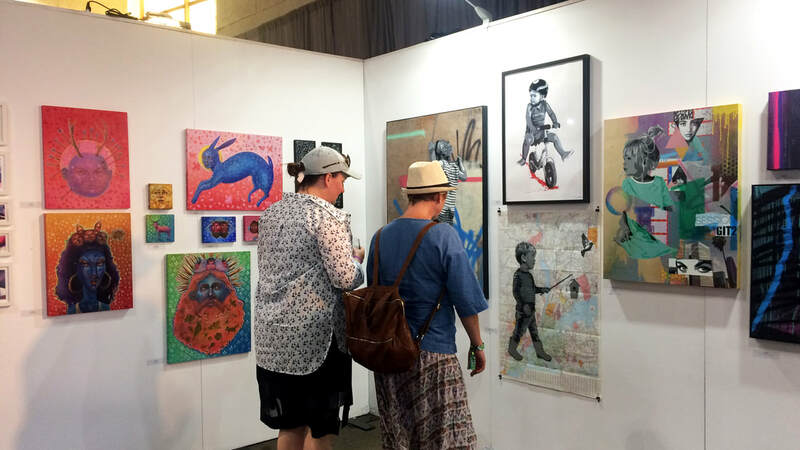 KAABOO's contemporary art shows fair where nearly 100 national and international artists display their latest installations, paintings, sculptures, photography and jewelry for sale. 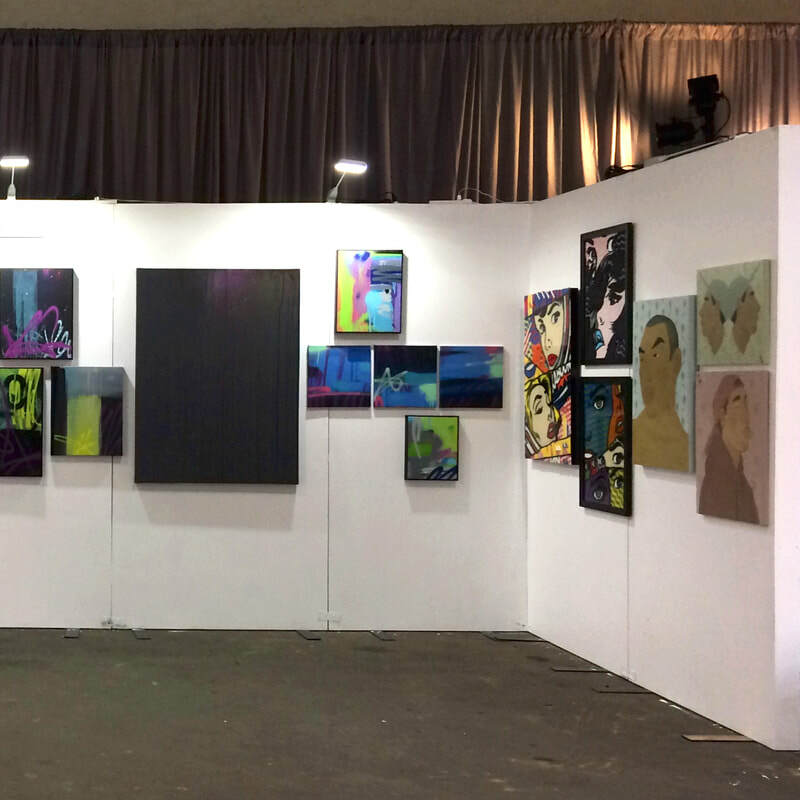 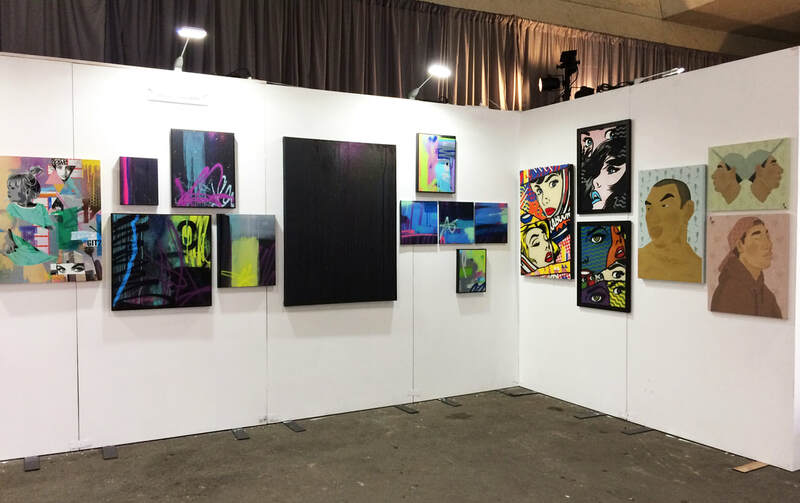 This indoor art fair showcase truly enlivens the senses and leaves you with a festival experience like never before. We curated an exhibition that includes Brise Birdsong, mrbbaby, Robert Lievanos, Victor Villa, Nicholas McPherson, Jason Gould and kurznachzehn. 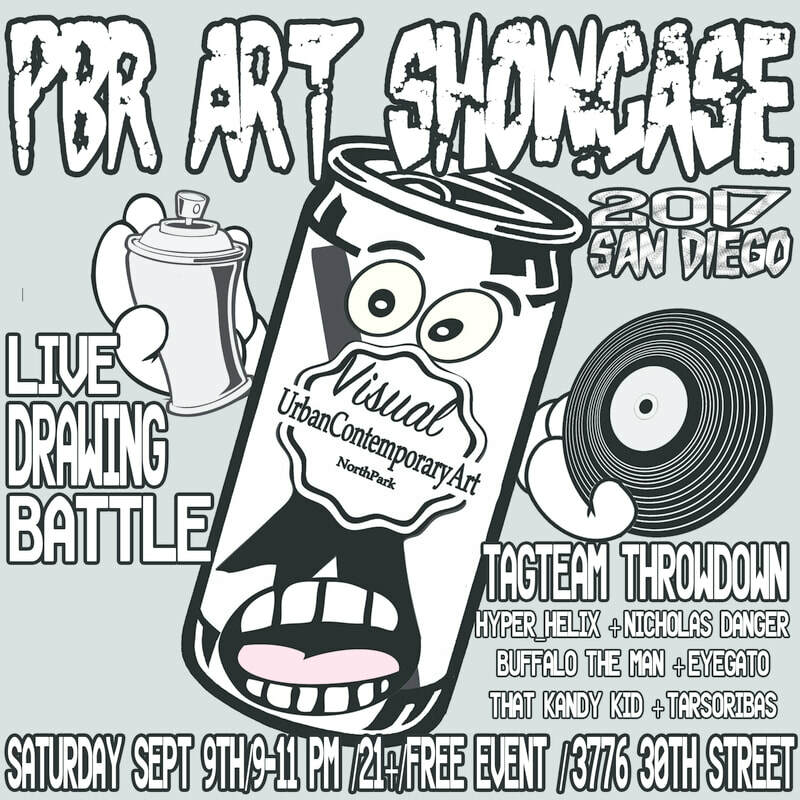 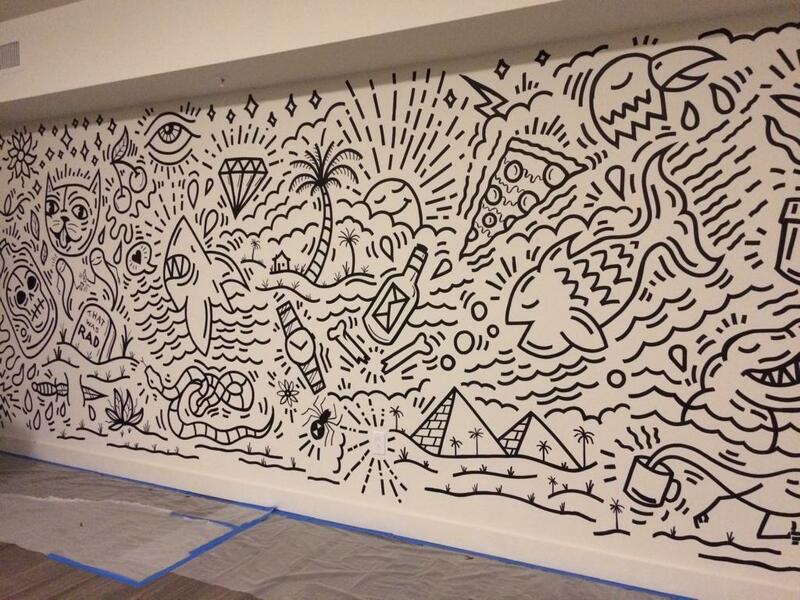 On September 9th we will partner with Pabst Blue Ribbon and host a live drawing battle. 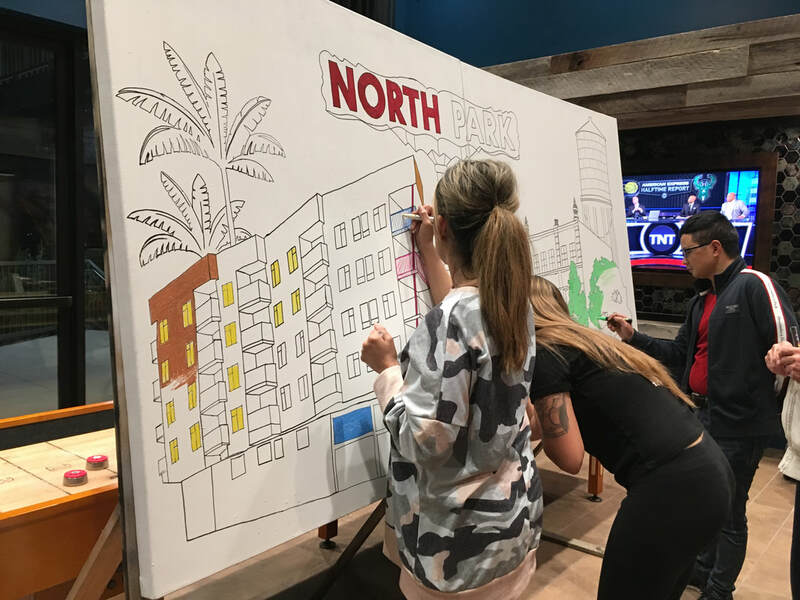 The event takes place on "Ray at Night" and other venues also include North Park Bikes and Bar Pink. 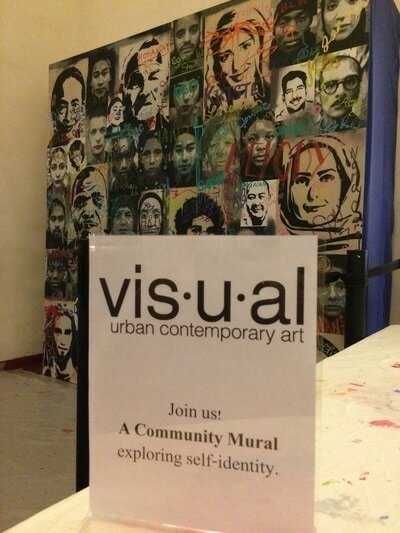 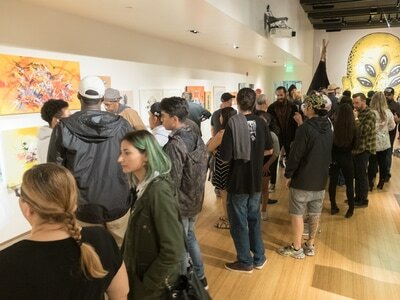 On June 3rd 2017 VISUAL urban contemoprary art presented a Live Art Battle and a pop up art exhibition at The REY, 801 B Street. 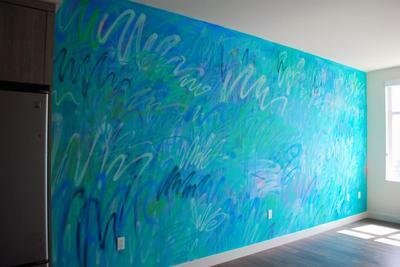 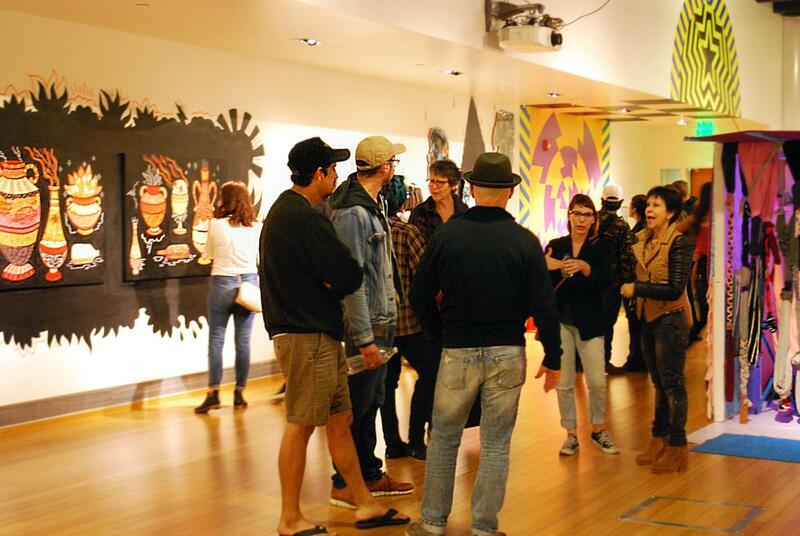 In the evening people could join a private studio mural tour hosted by The REY. 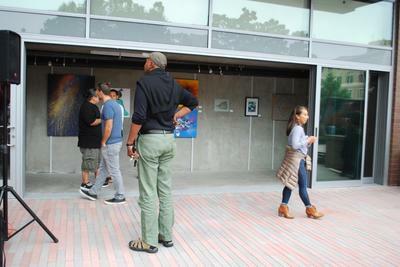 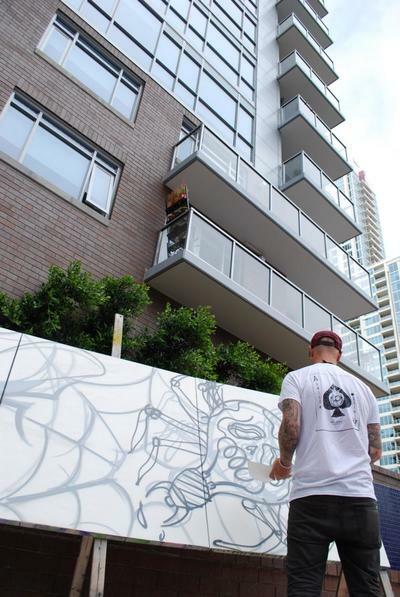 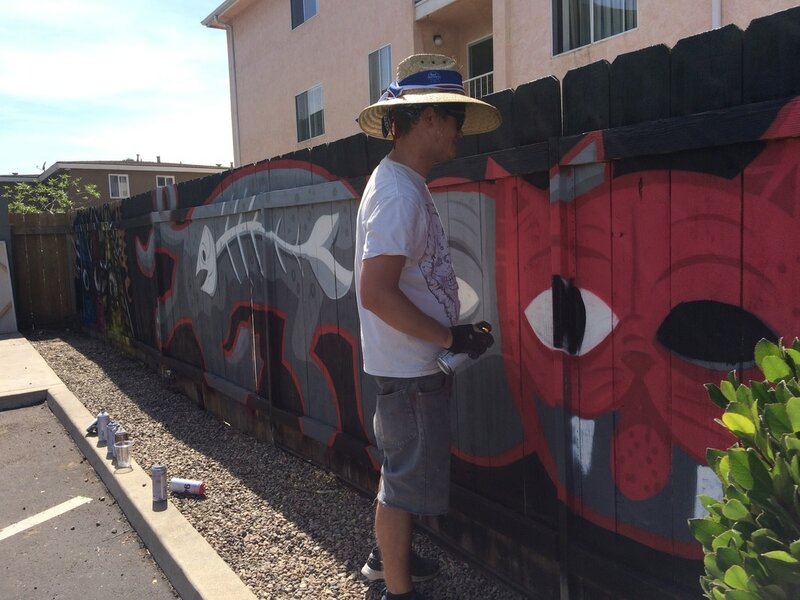 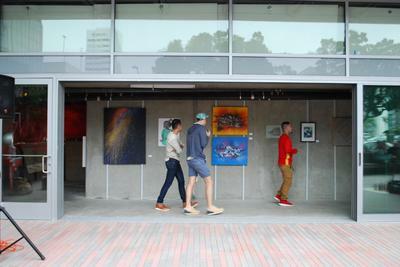 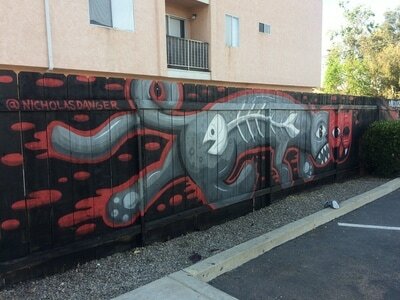 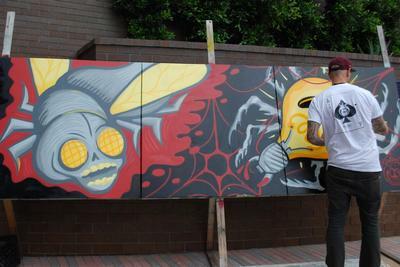 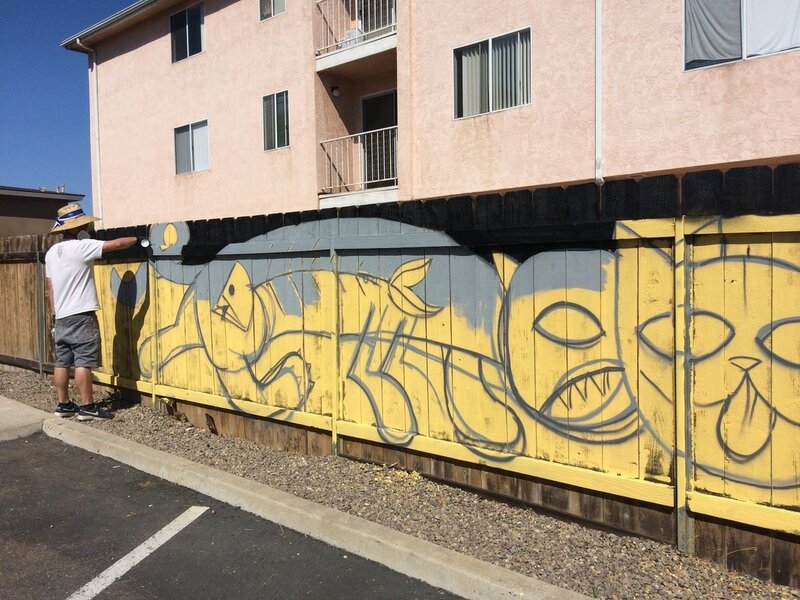 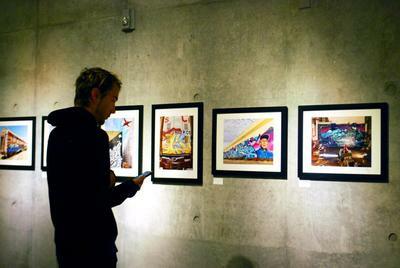 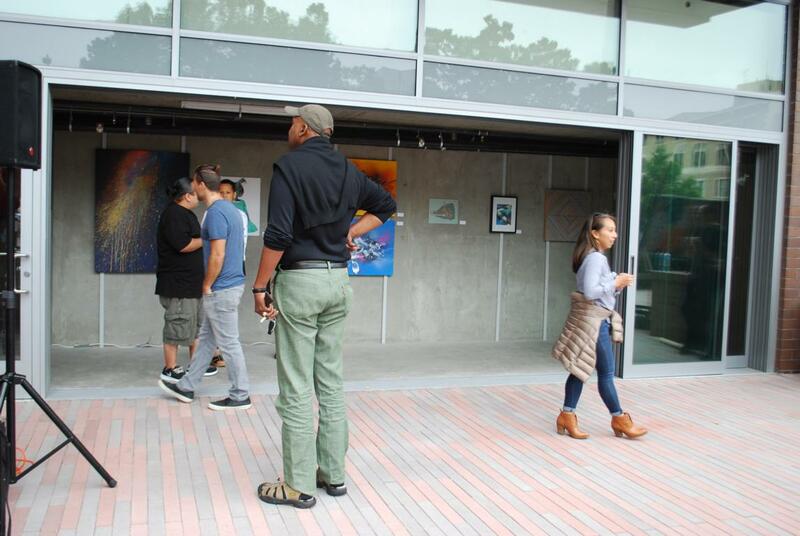 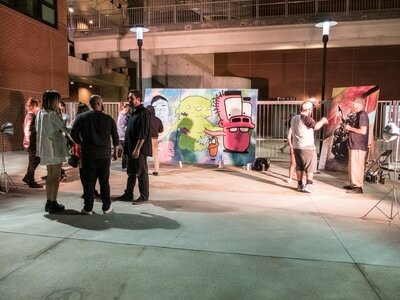 5 new murals by different artists were on display. 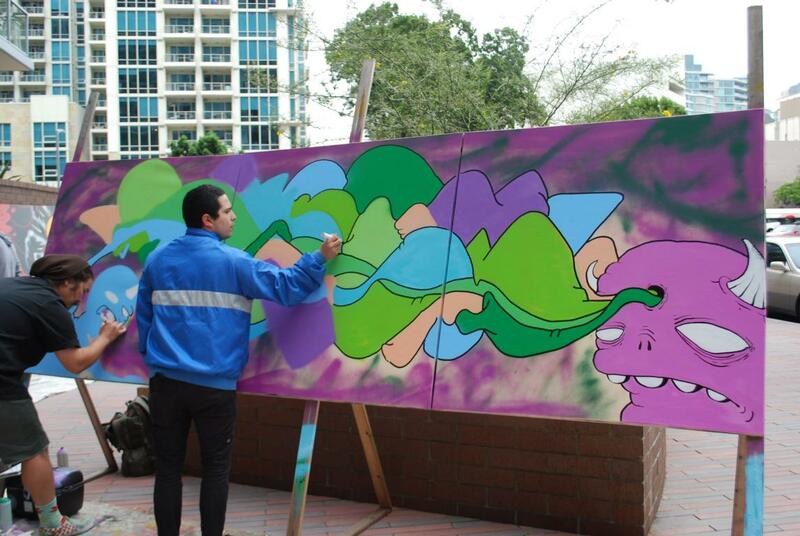 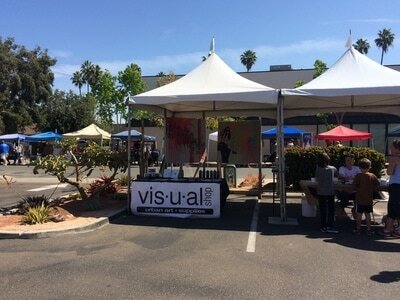 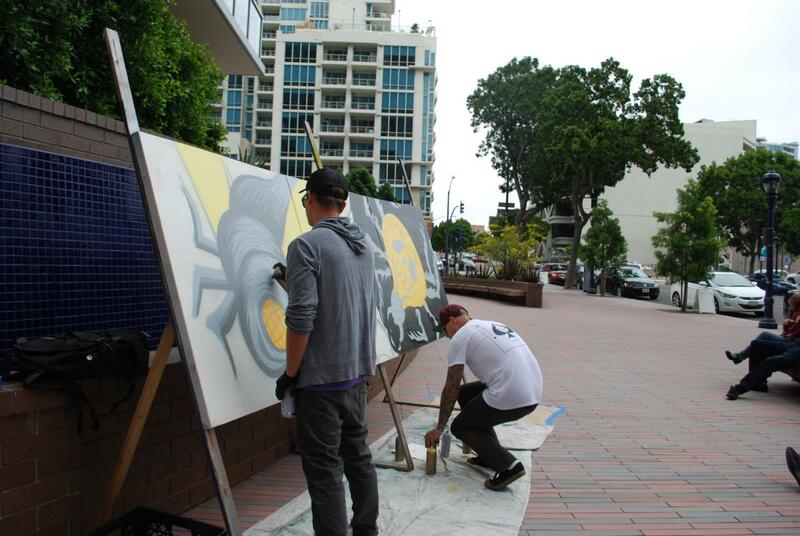 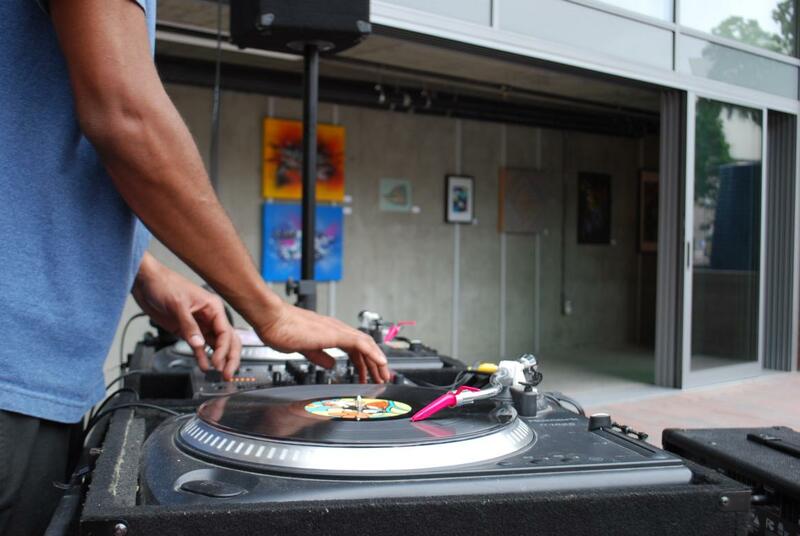 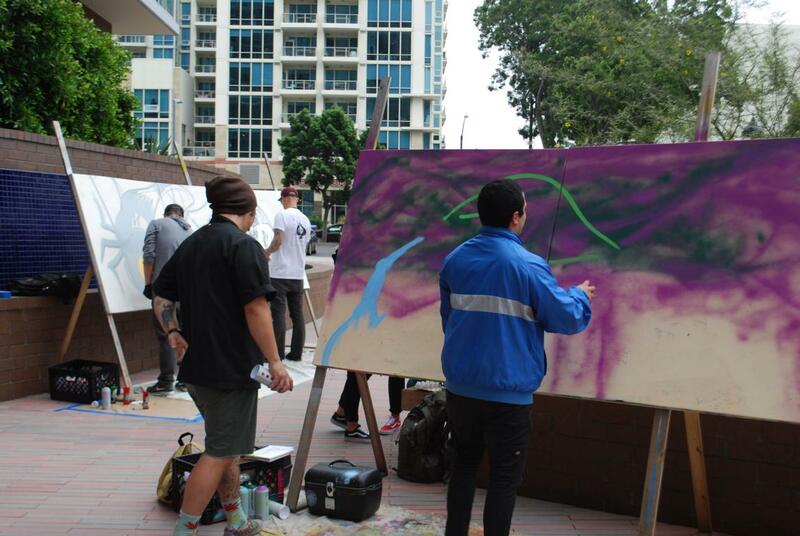 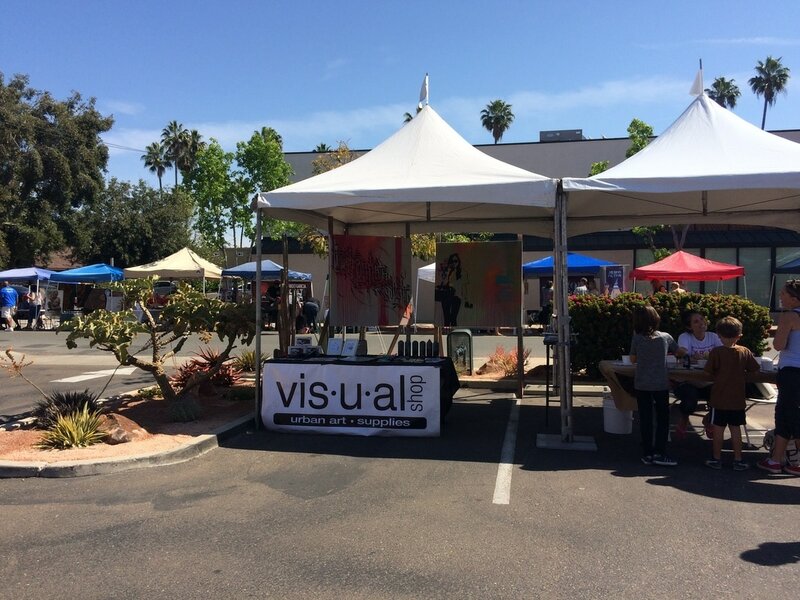 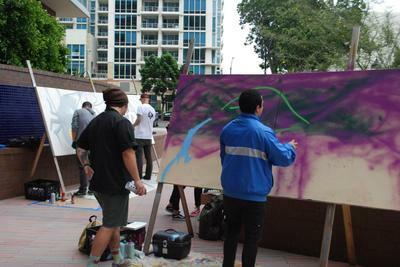 ​On April 22 we joined College Area Business District for a new art festival on Art Street in College Area. 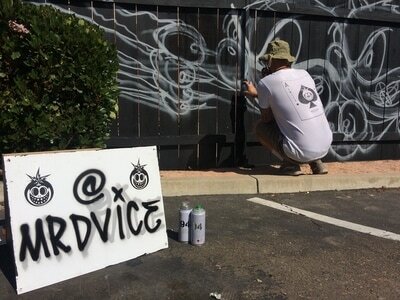 Nick McPherson, MR. DVICE and WEBS painted live. 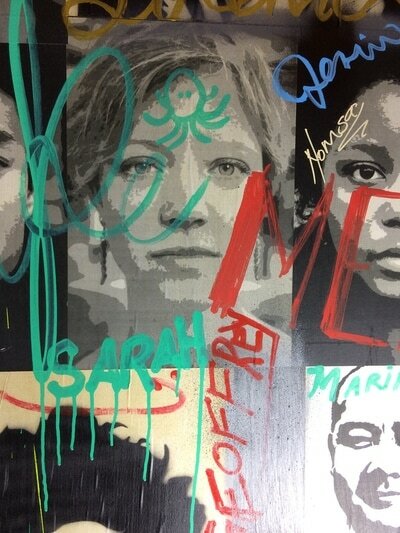 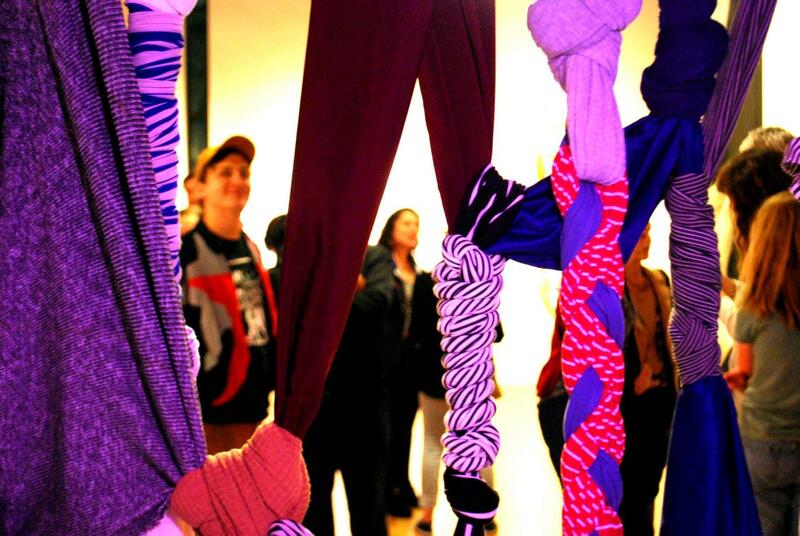 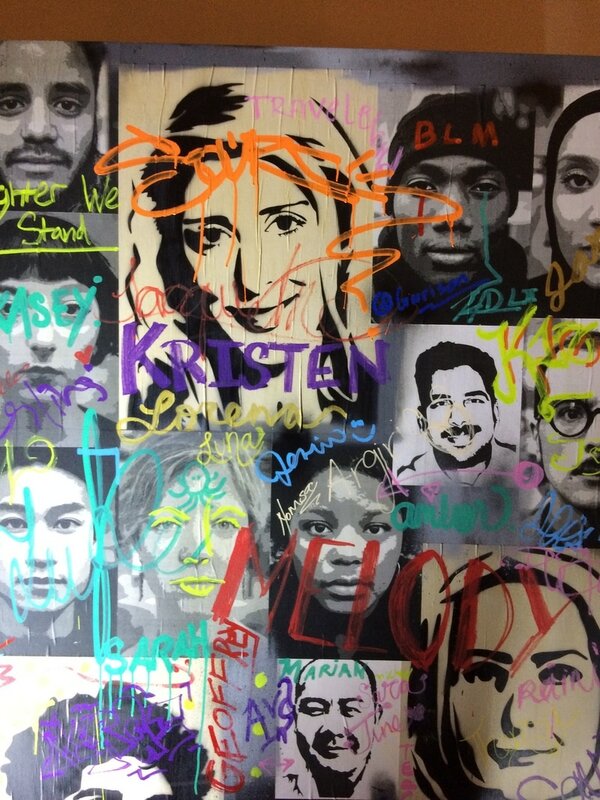 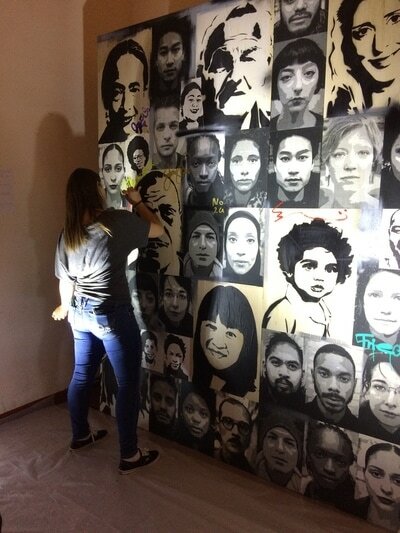 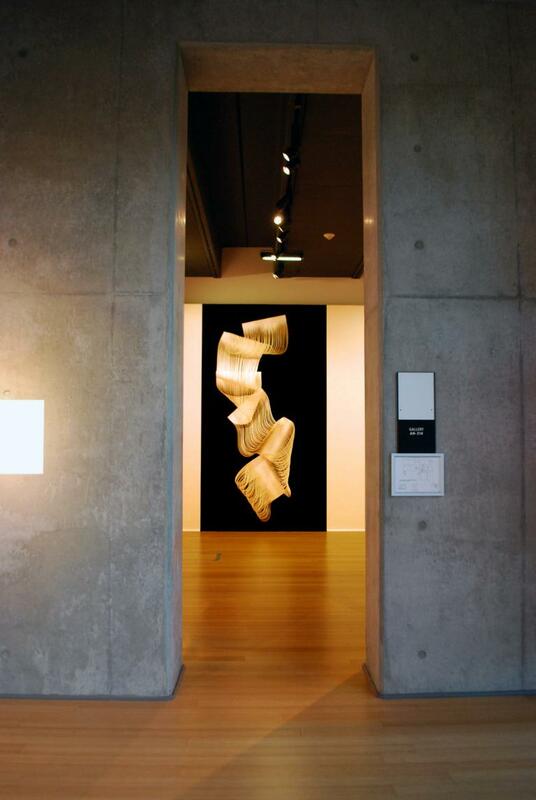 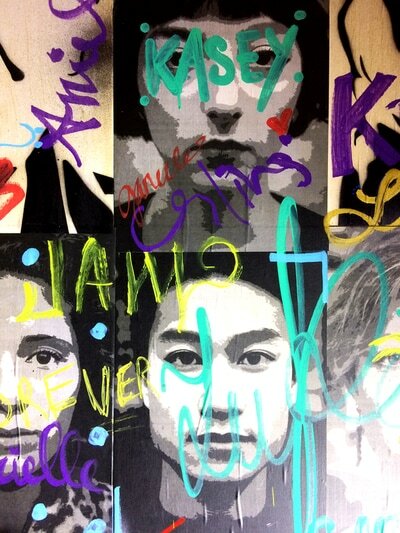 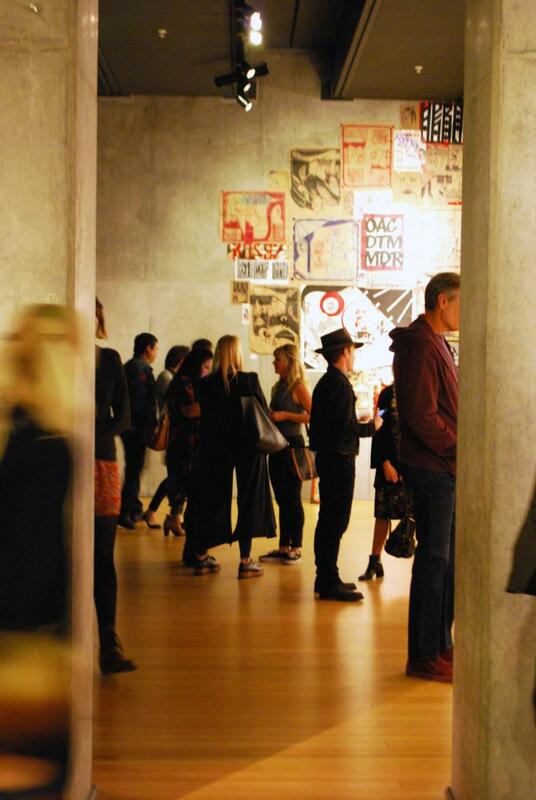 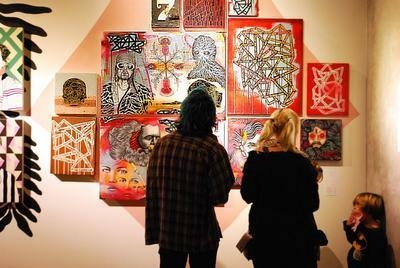 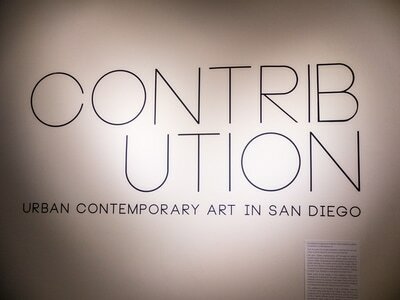 ​​Contribution is a group art exhibition which explores a global movement in contemporary art. 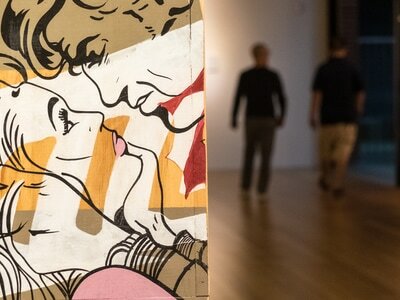 Over the years the borders between contemporary art and urban art have become more and more blurred. 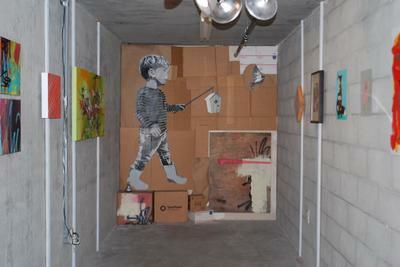 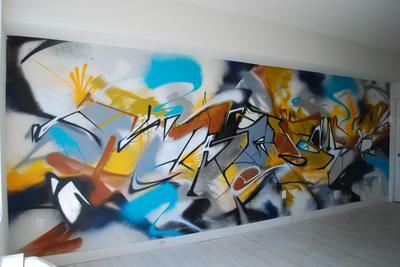 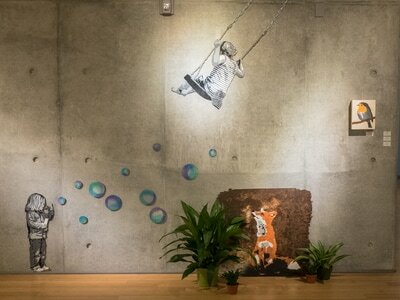 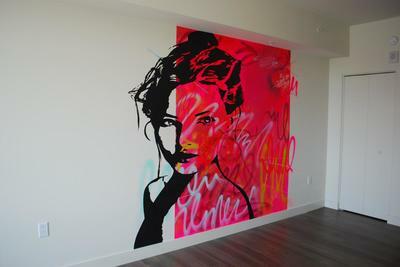 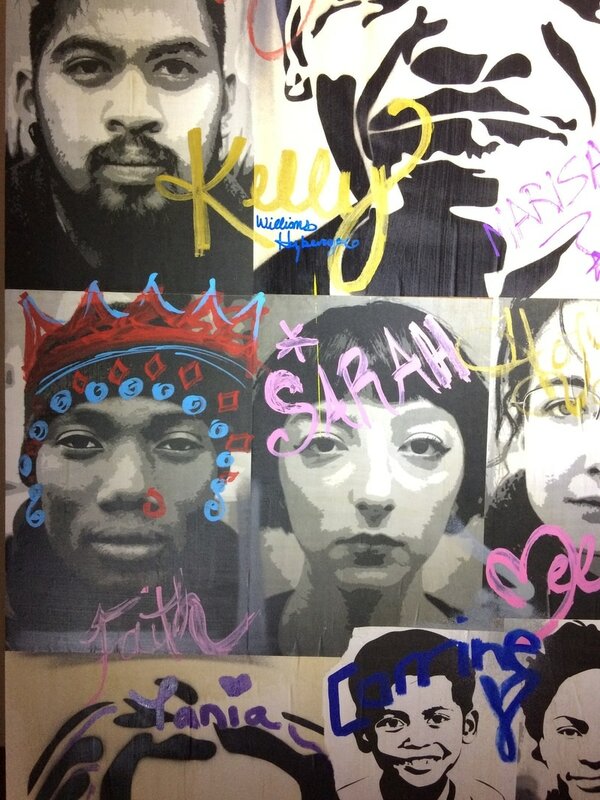 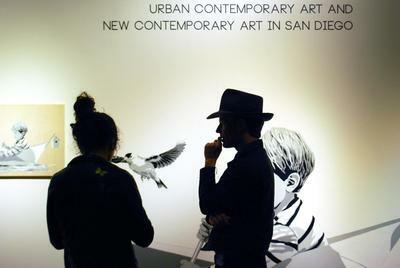 The term “urban contemporary art” focuses on various creative areas such as the street, studio, gallery and institutions. 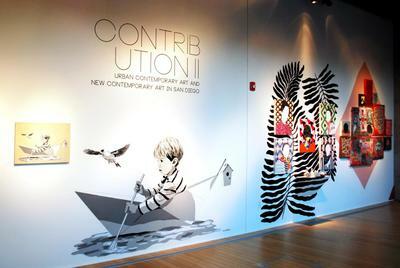 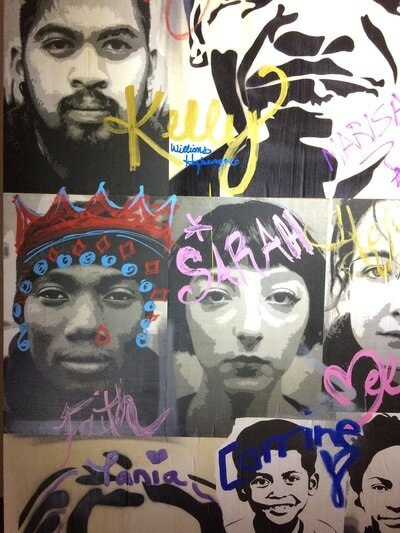 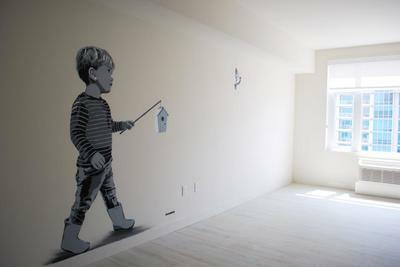 Urban contemporary art describes a movement of artists working in the public arena and the studio. 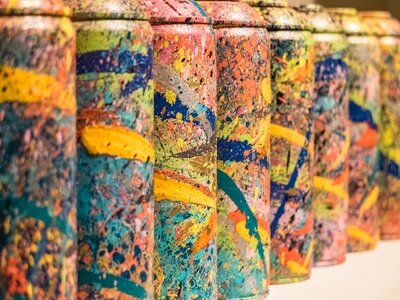 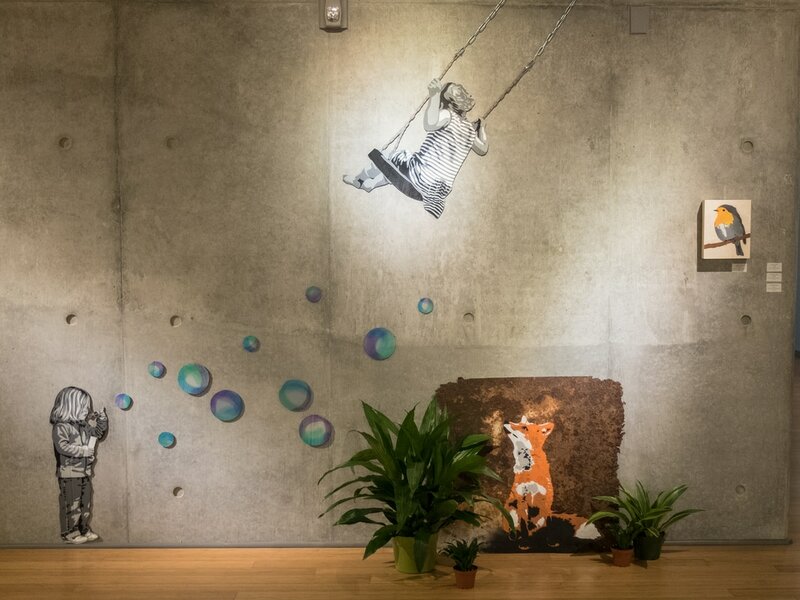 Often, this art form exists in the space between traditional contemporary art and traditional graffiti and street art, making it neither one, therefore a new genre has been born. 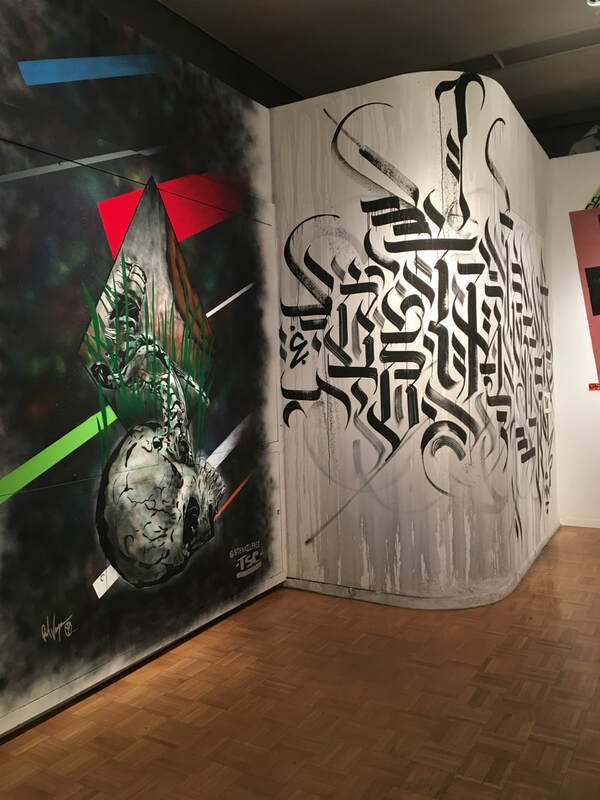 While some of the artists in this exhibition have been creating and evolving for the past 3 decades, others are relatively new to the process. The range of style and use of medium is evidence that the artists are inspired to explore and experiment with art making from all horizons. 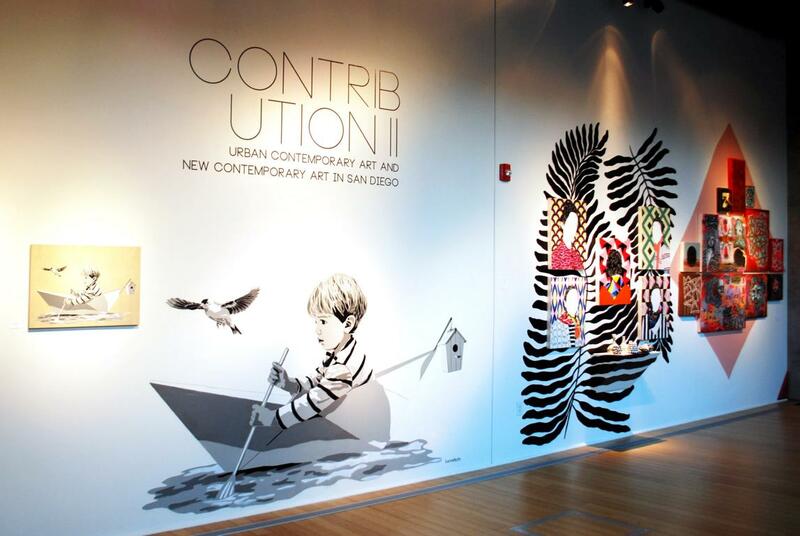 This exhibition is not thought to be a definitive overview of all the artists working in San Diego today. 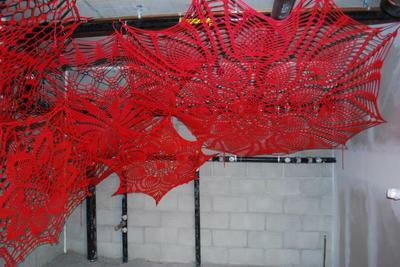 Rather, it is designed only to represent a small cross section of active artists. 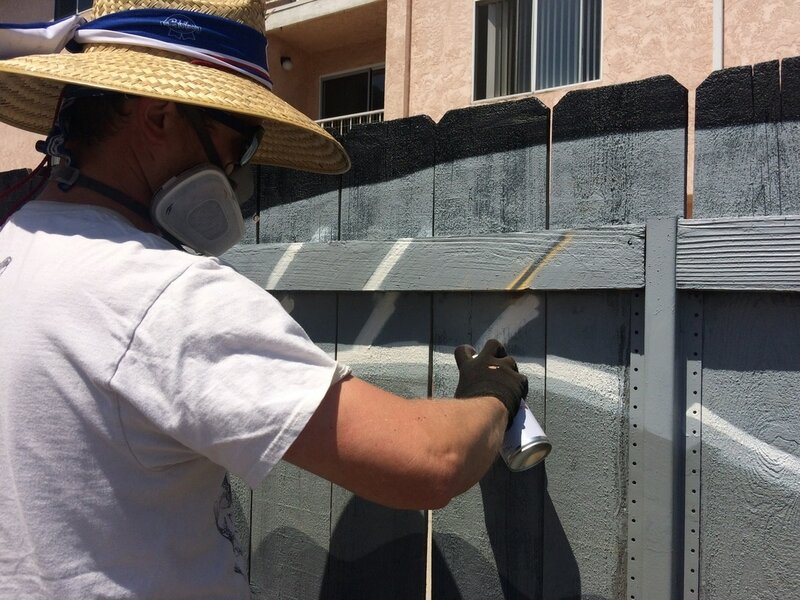 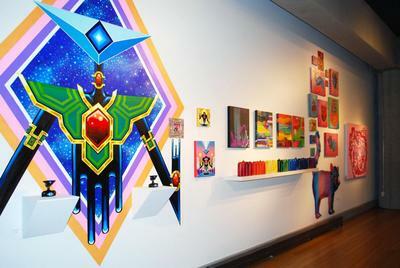 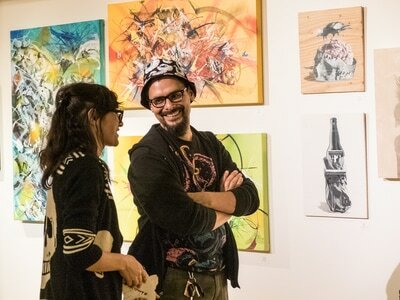 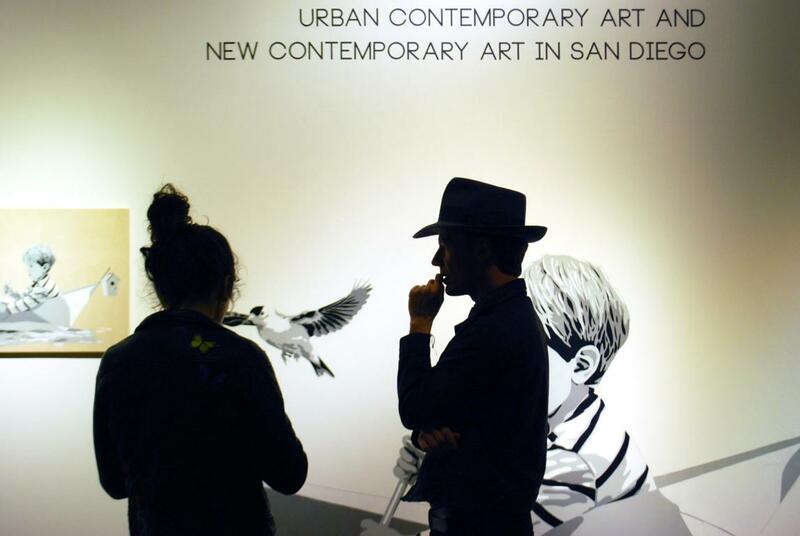 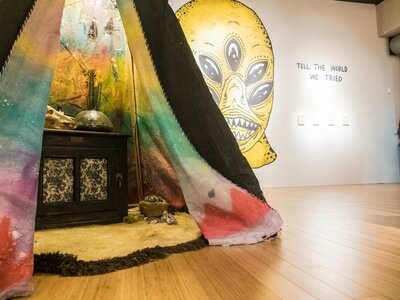 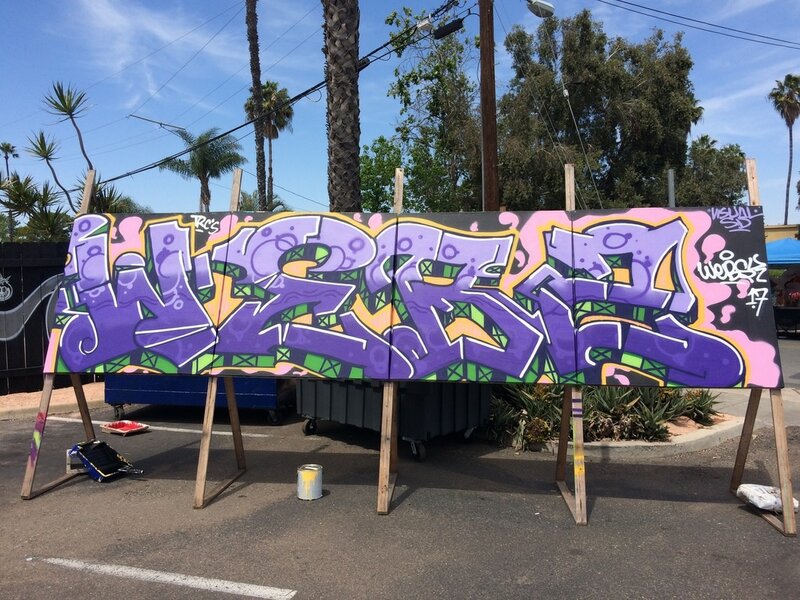 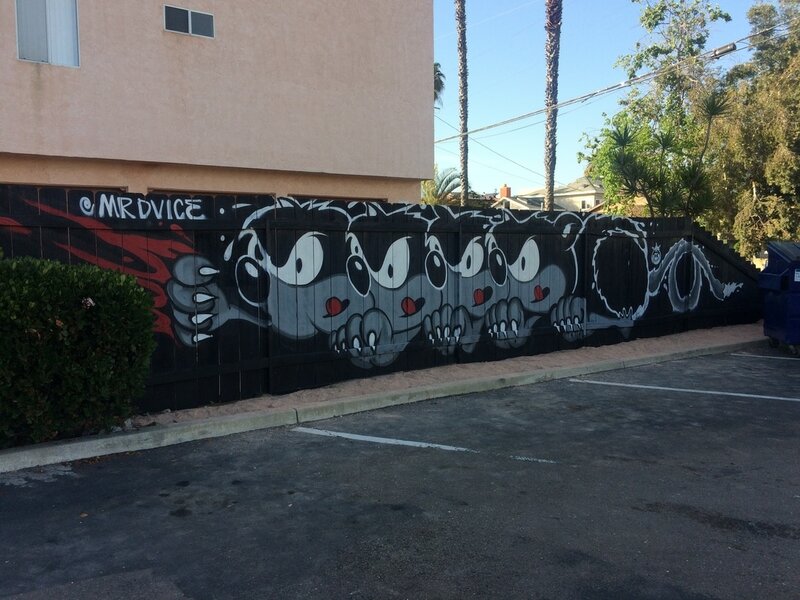 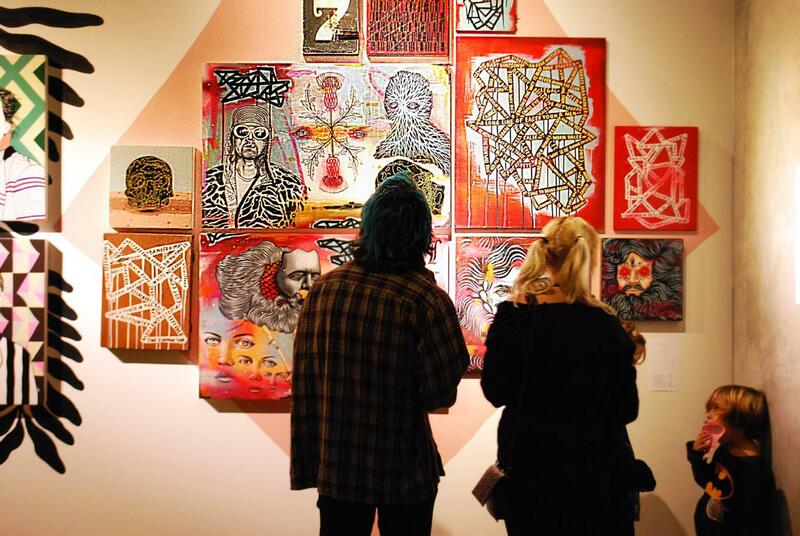 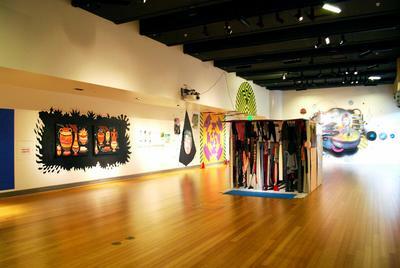 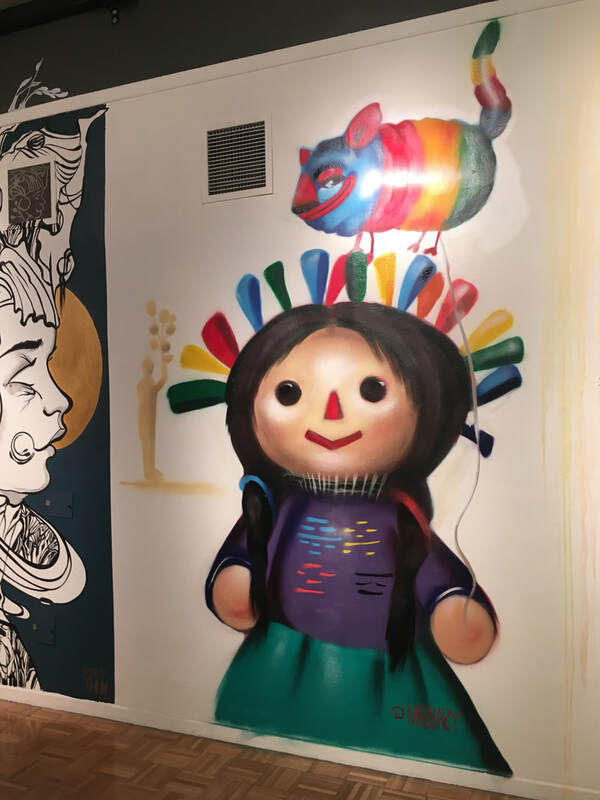 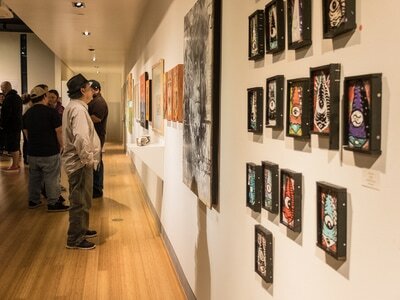 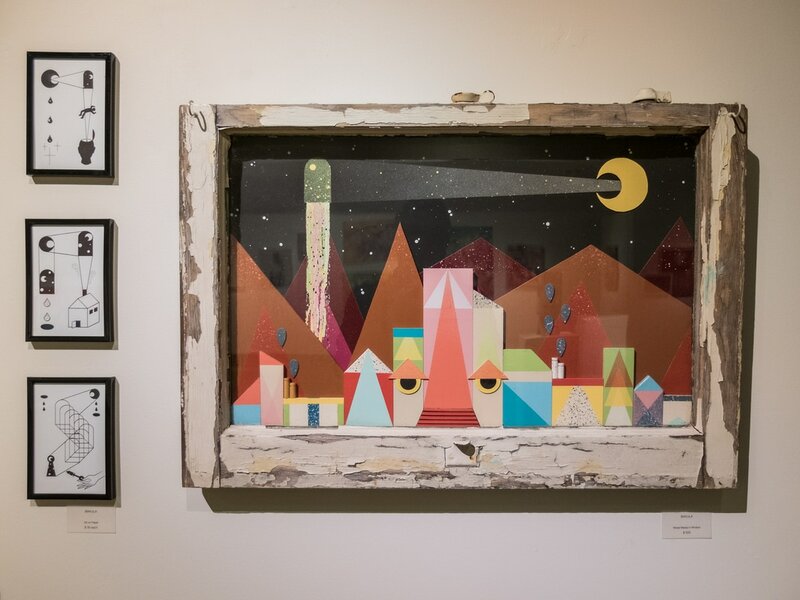 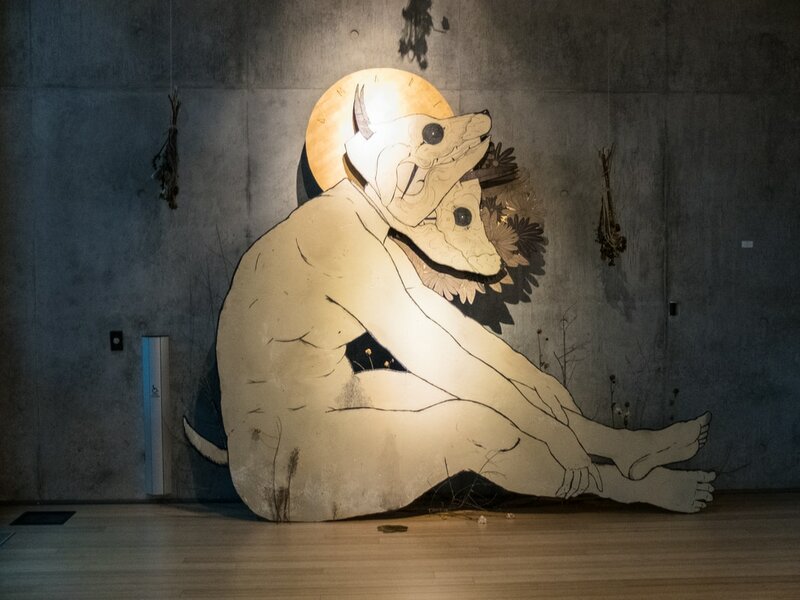 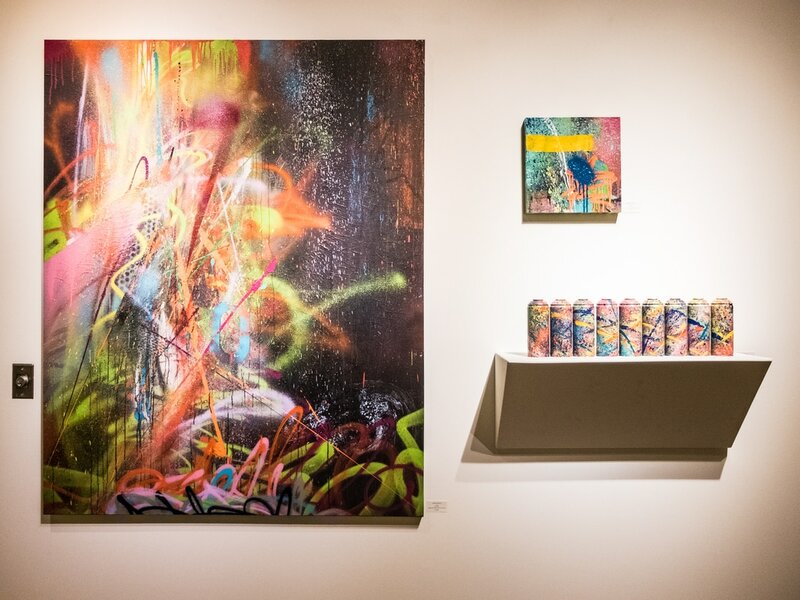 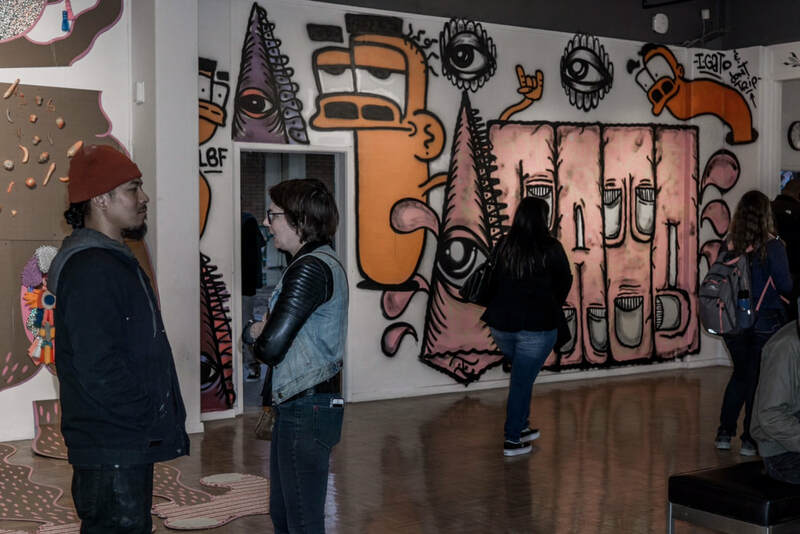 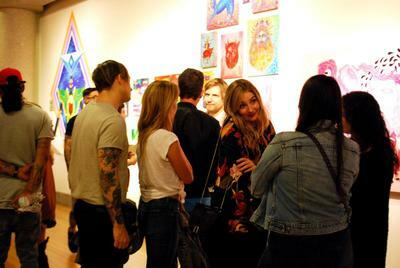 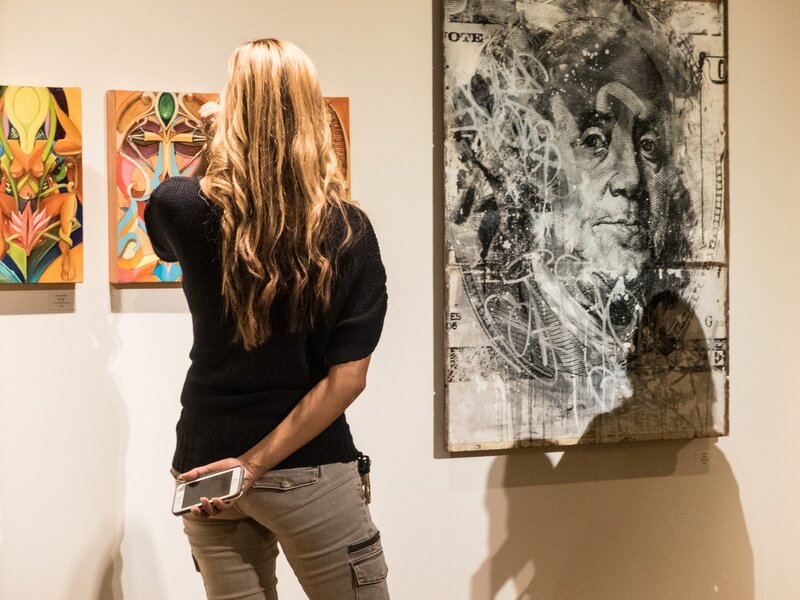 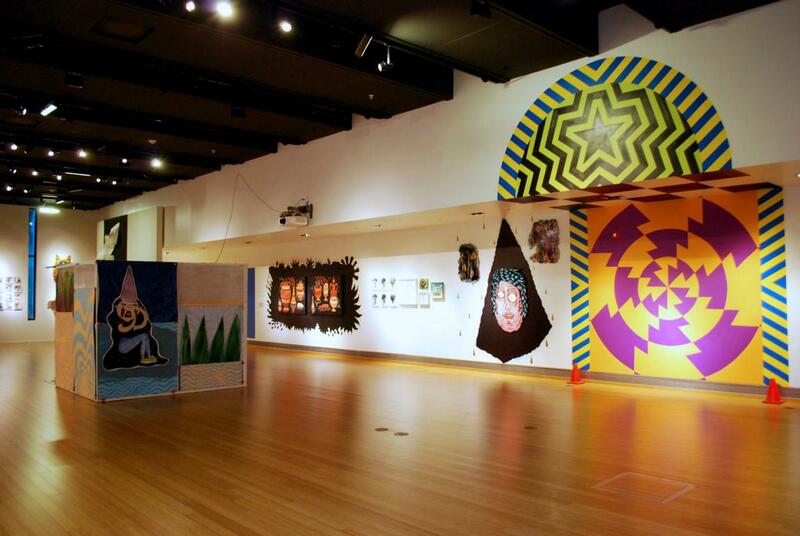 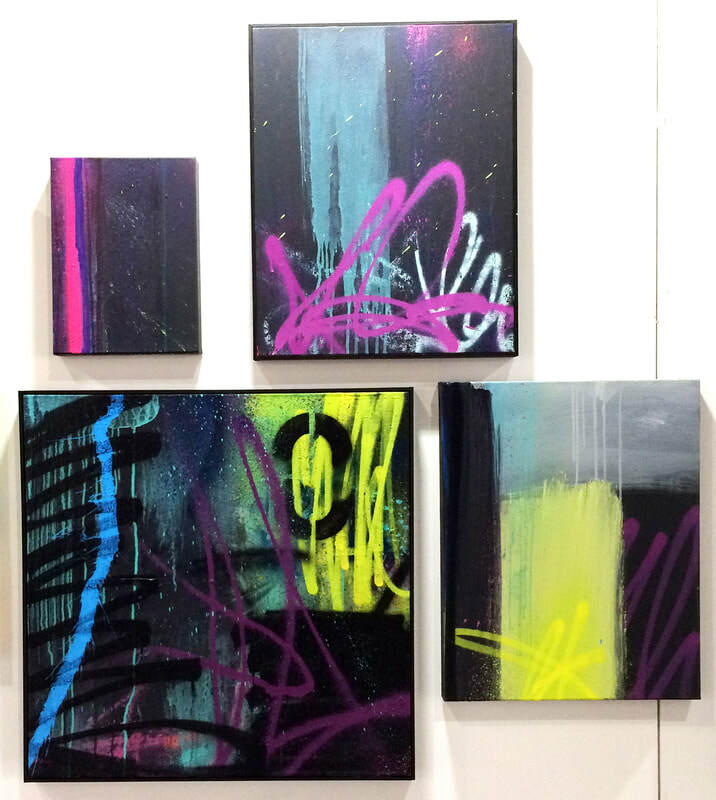 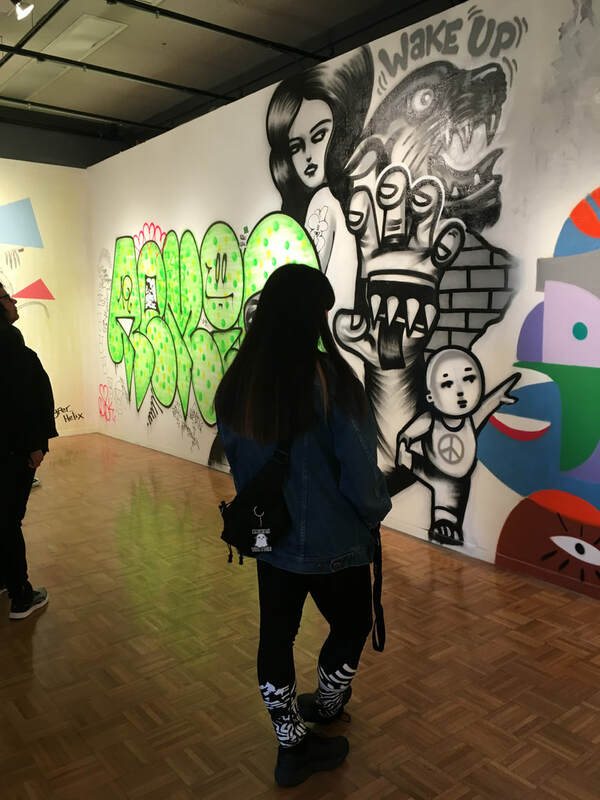 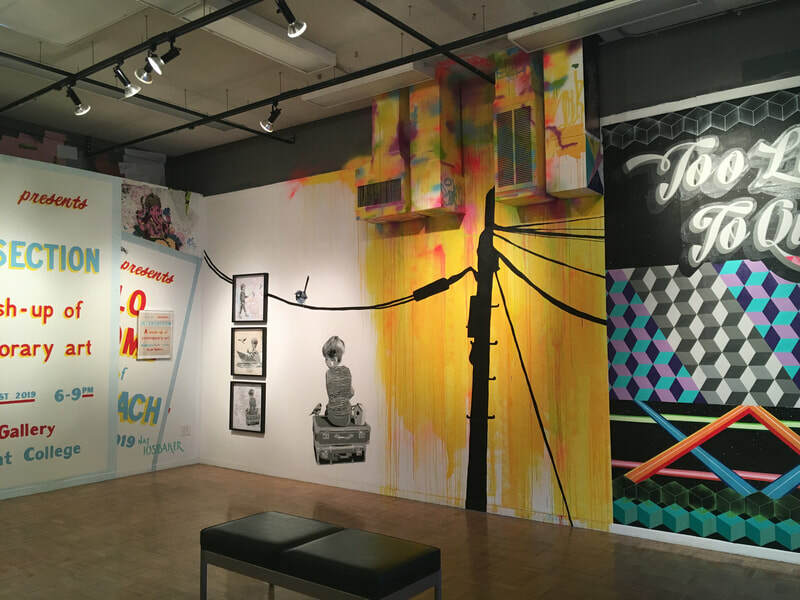 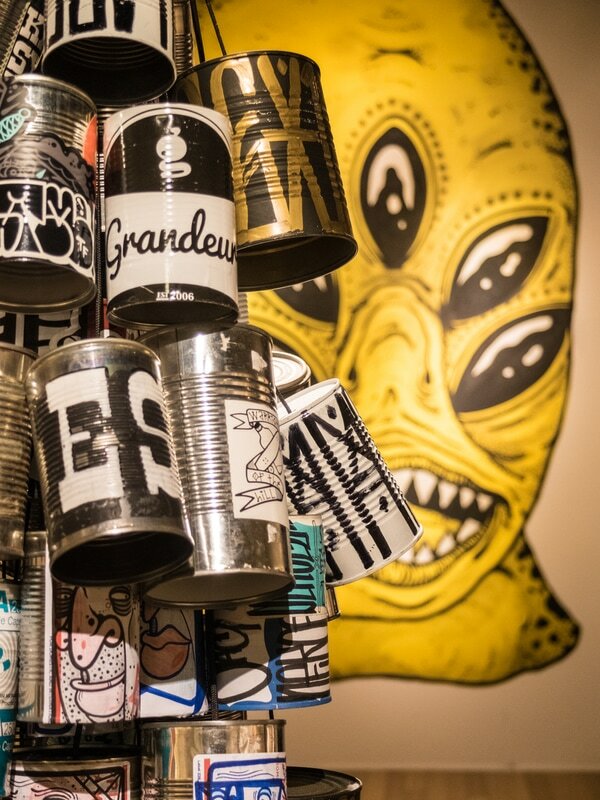 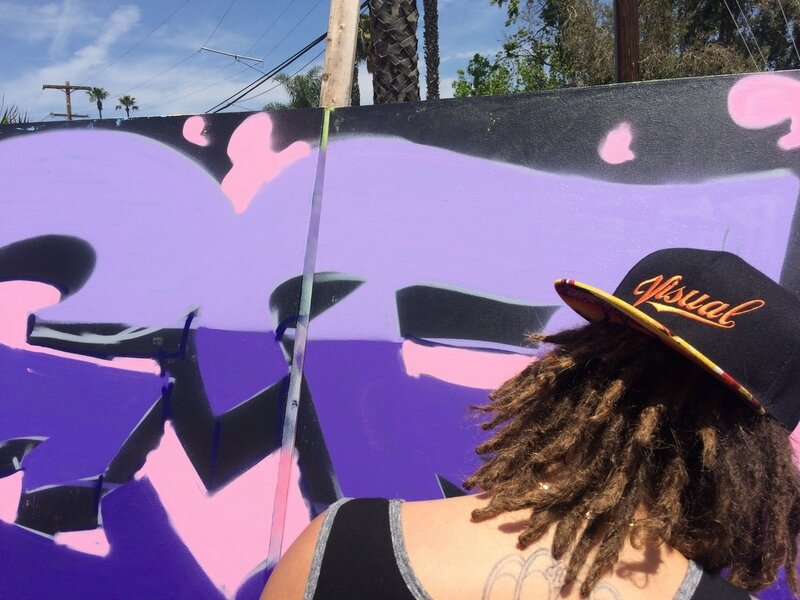 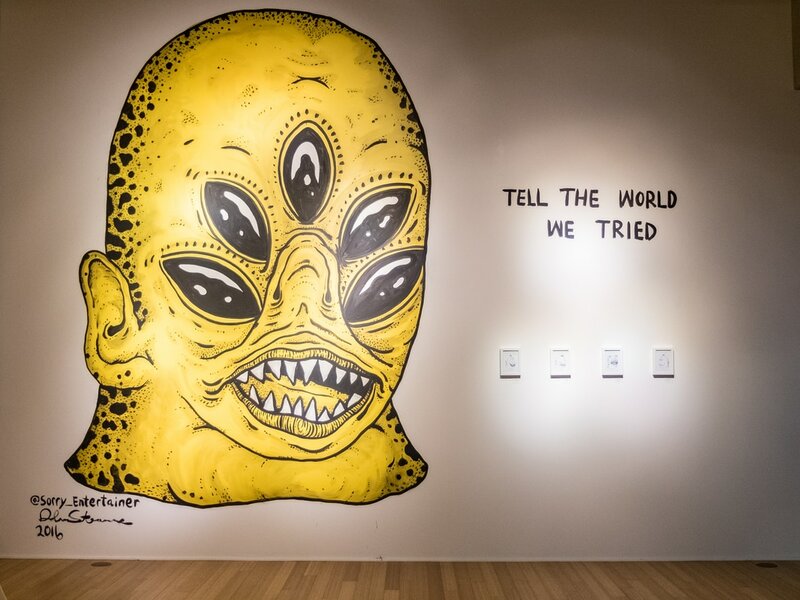 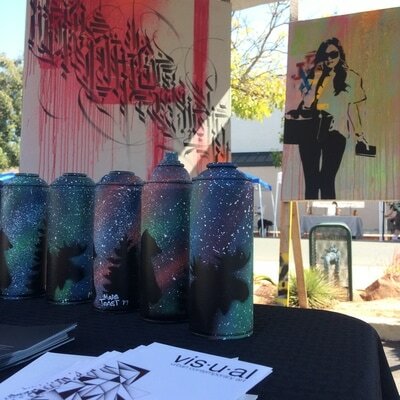 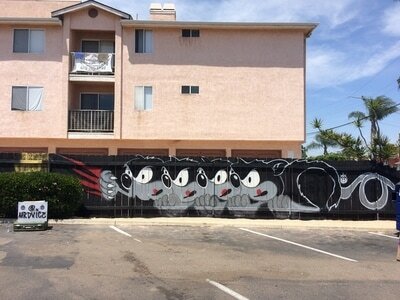 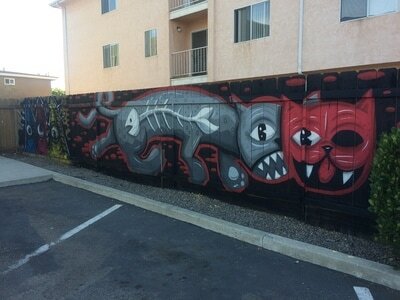 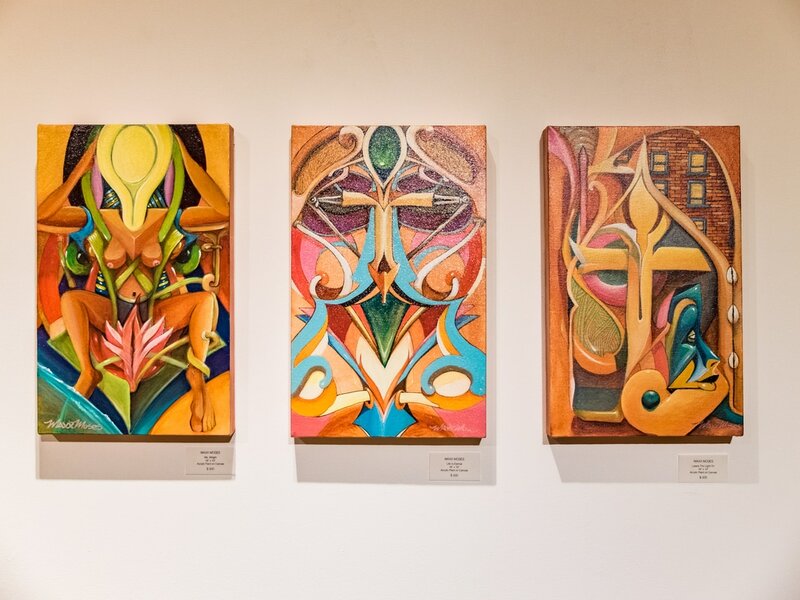 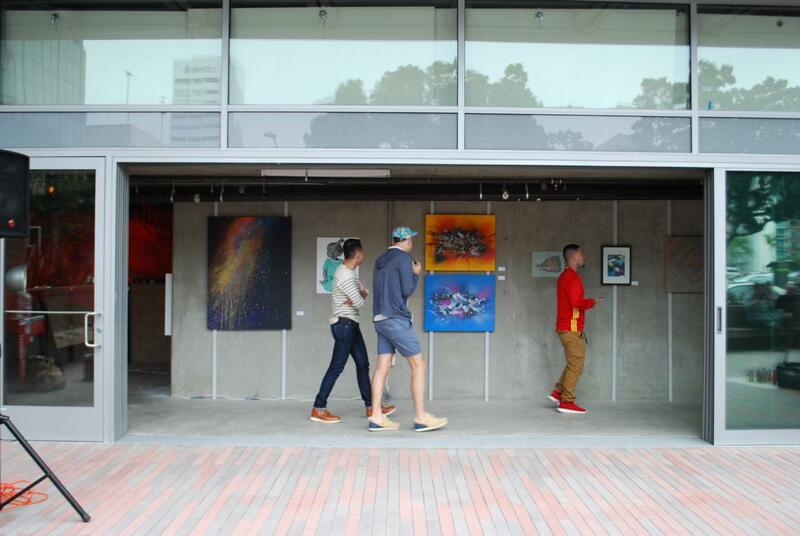 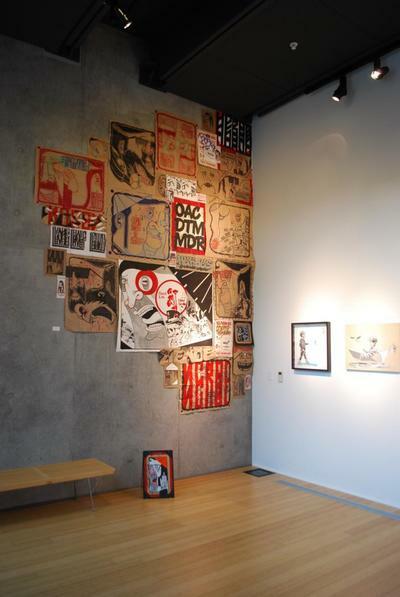 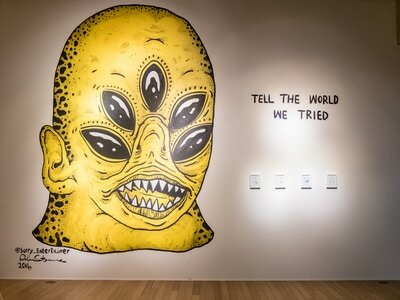 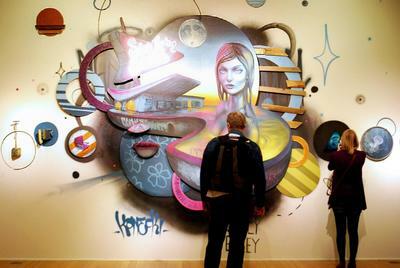 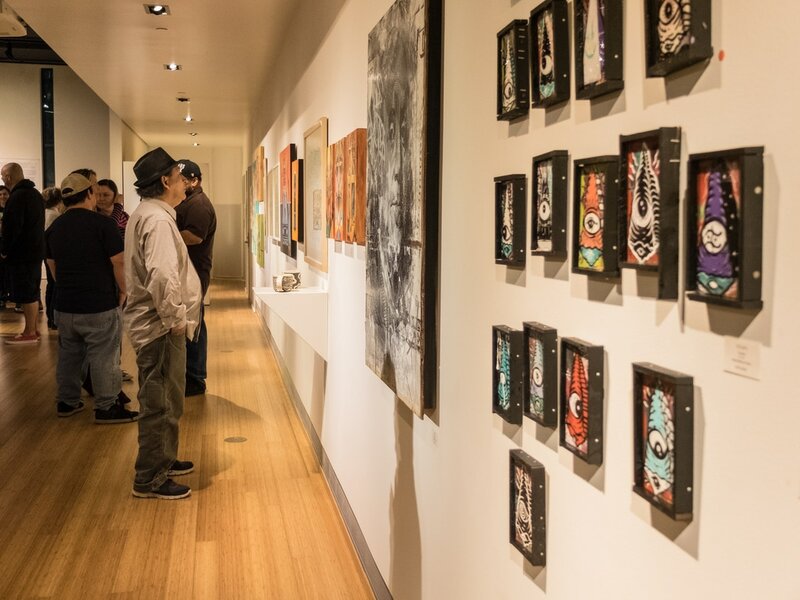 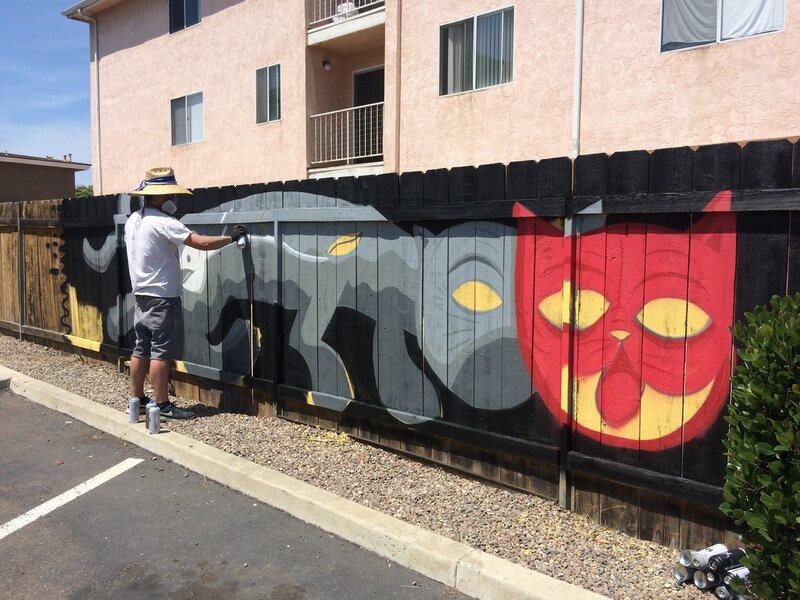 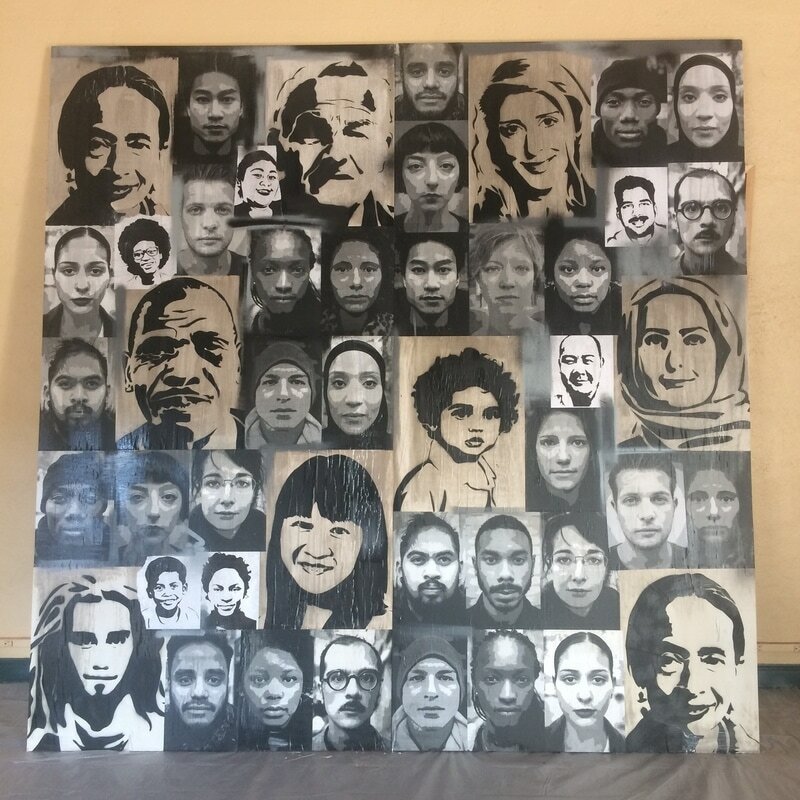 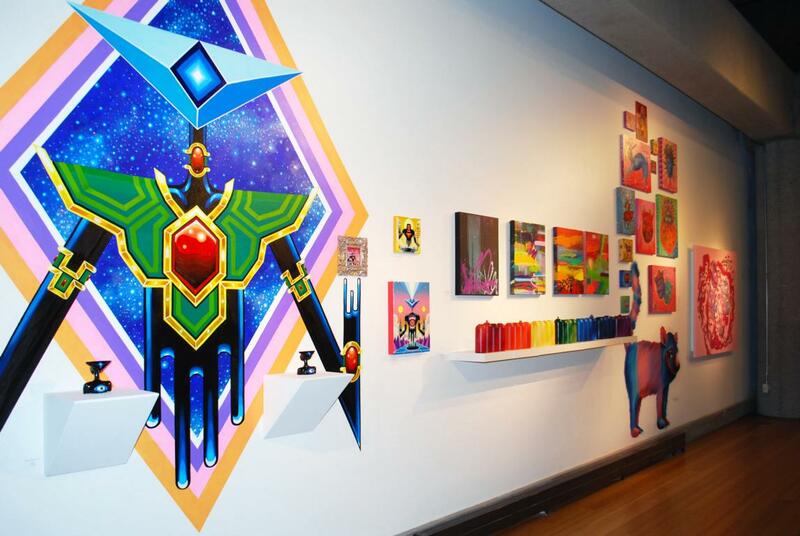 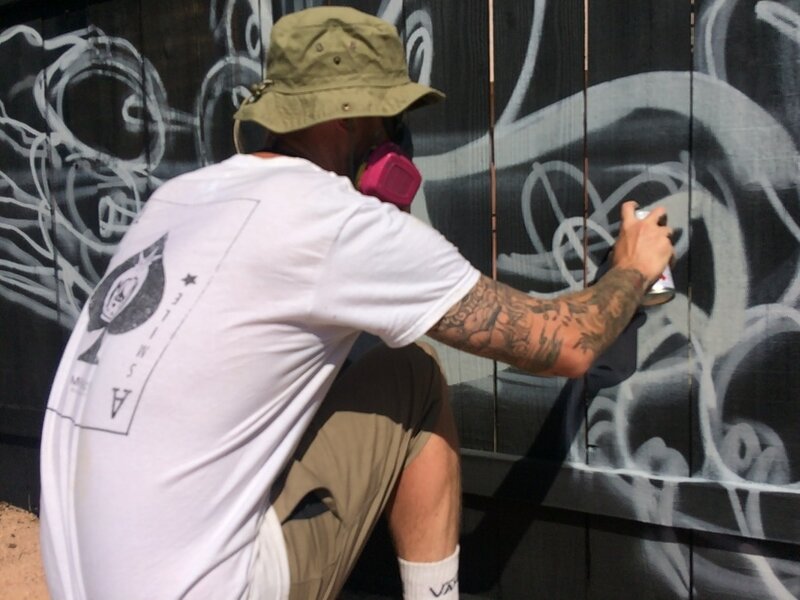 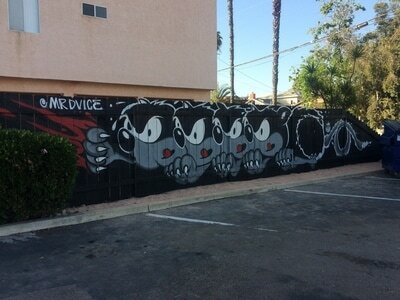 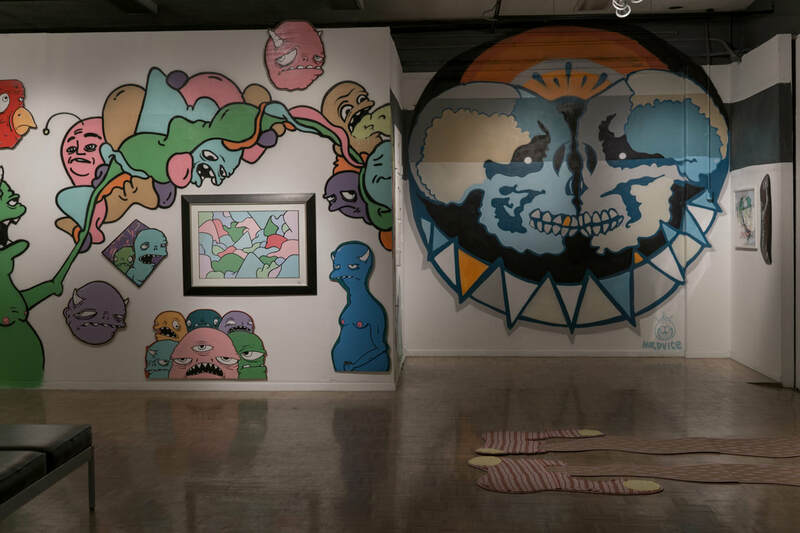 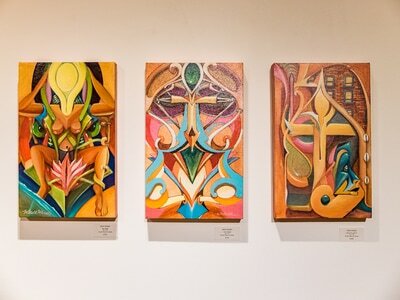 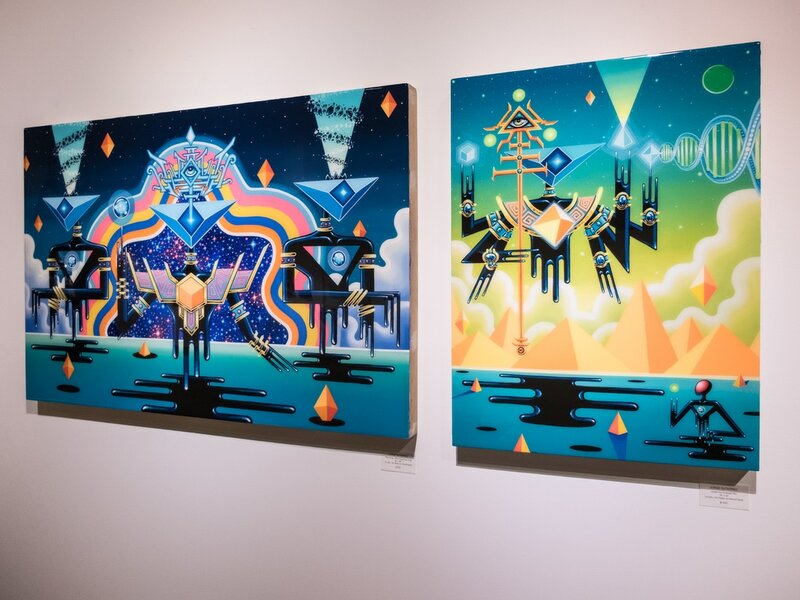 Despite different styles, techniques, methods and generations, each artist in the exhibit is following his or her own unique path and along the way they are making a contribution to the current urban contemporary art scene in San Diego and beyond. 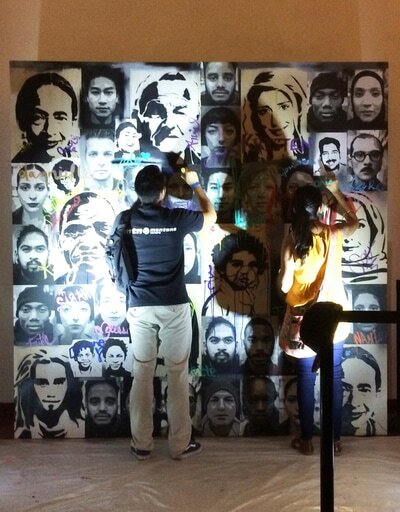 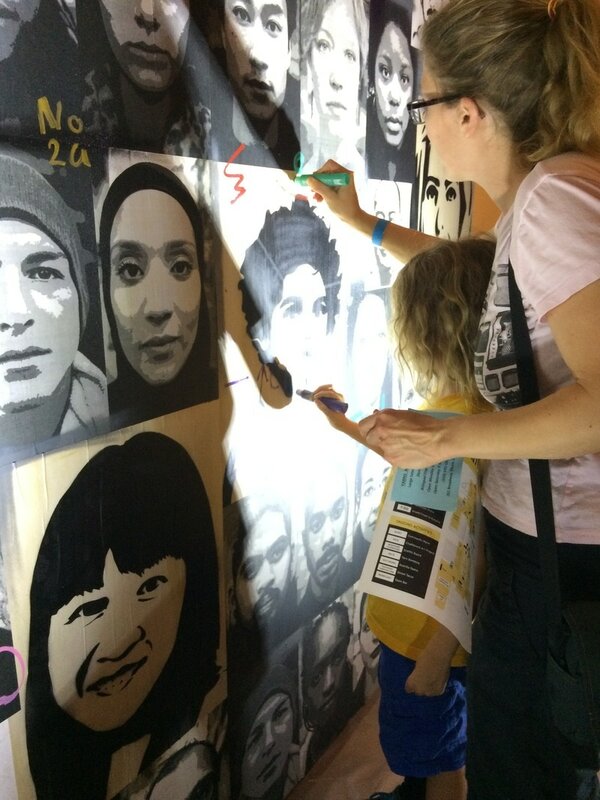 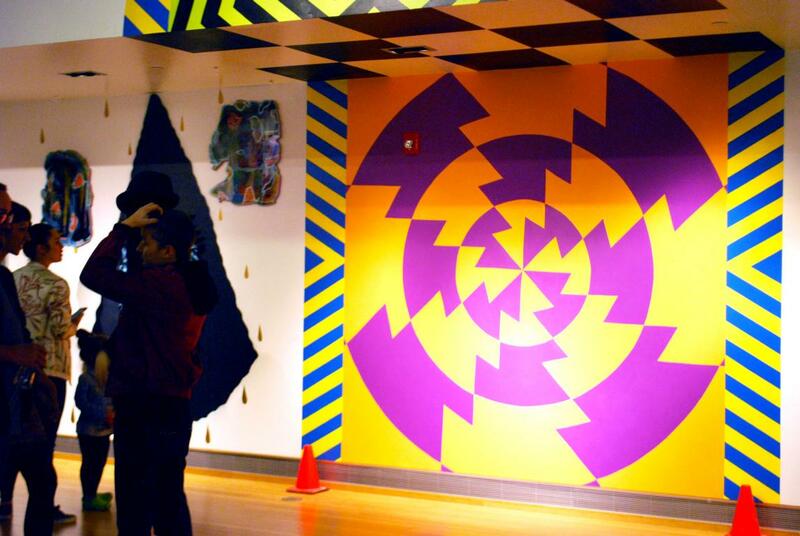 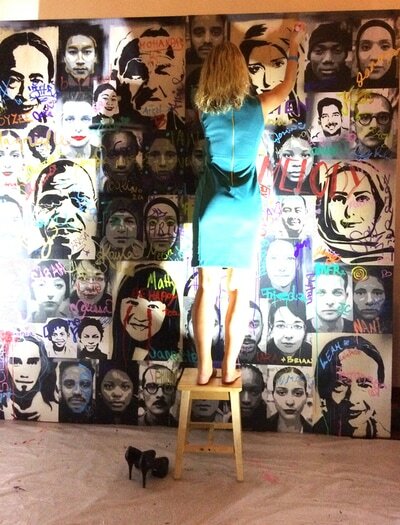 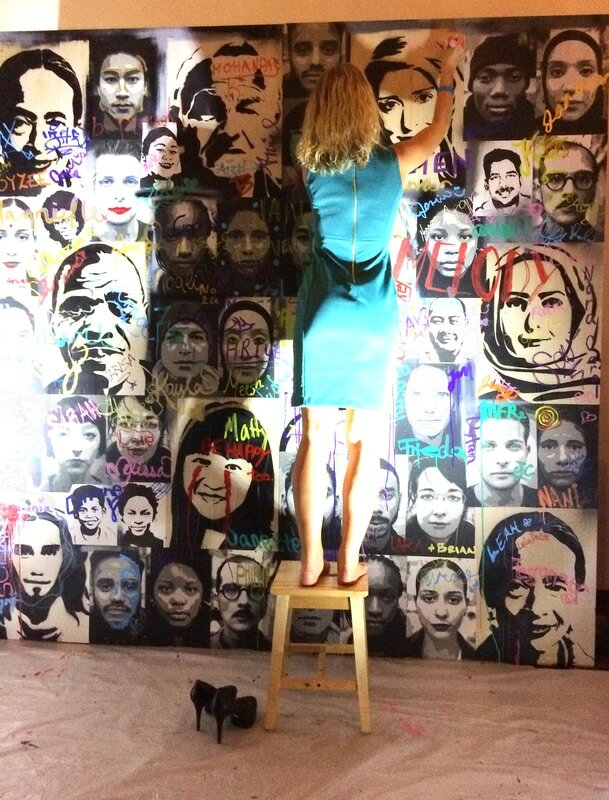 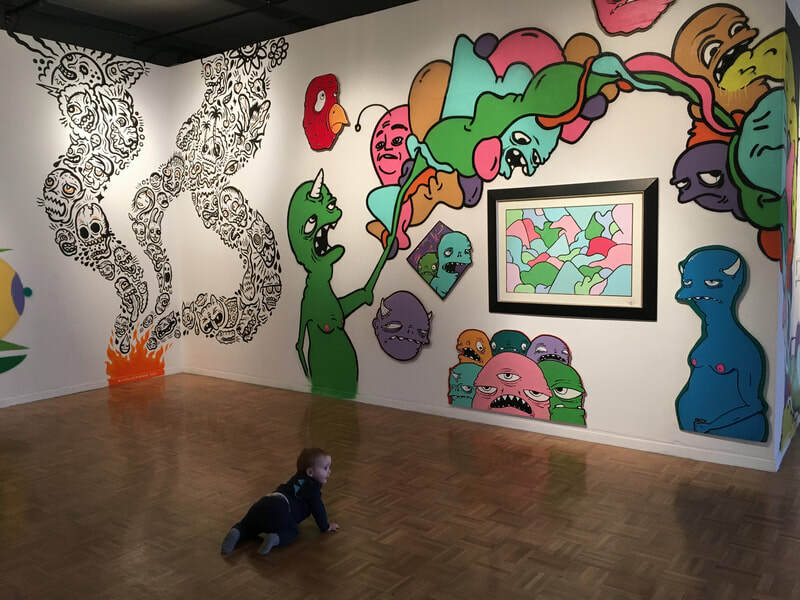 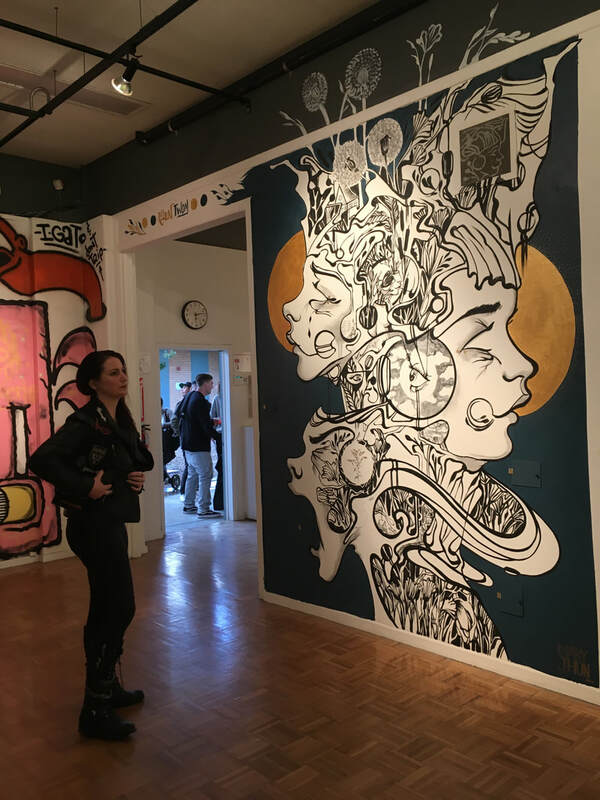 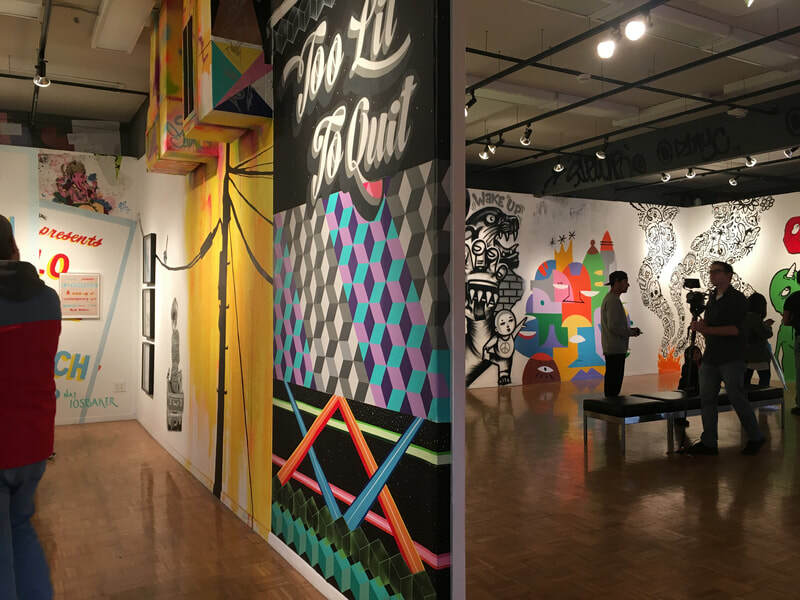 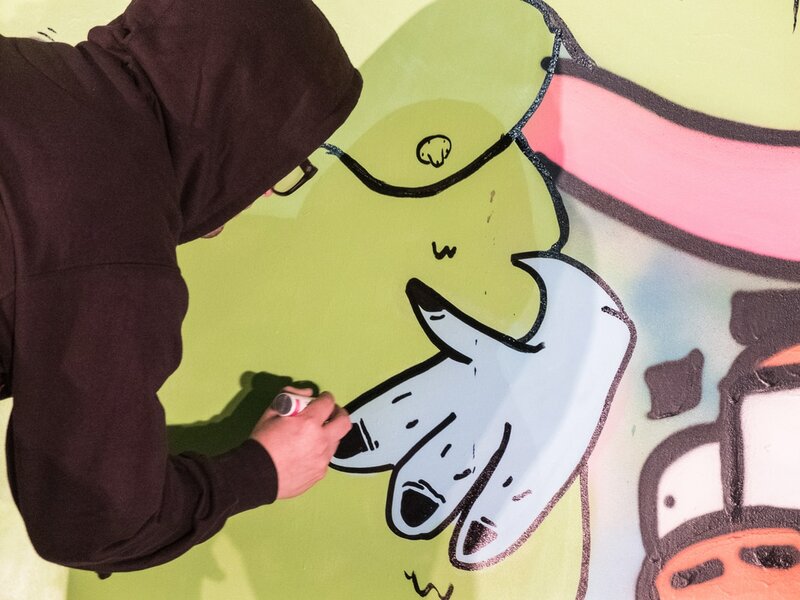 ​VISUAL created an interactive mural installation for the ART CRAWL at Museum of Man on October 20, 2016.